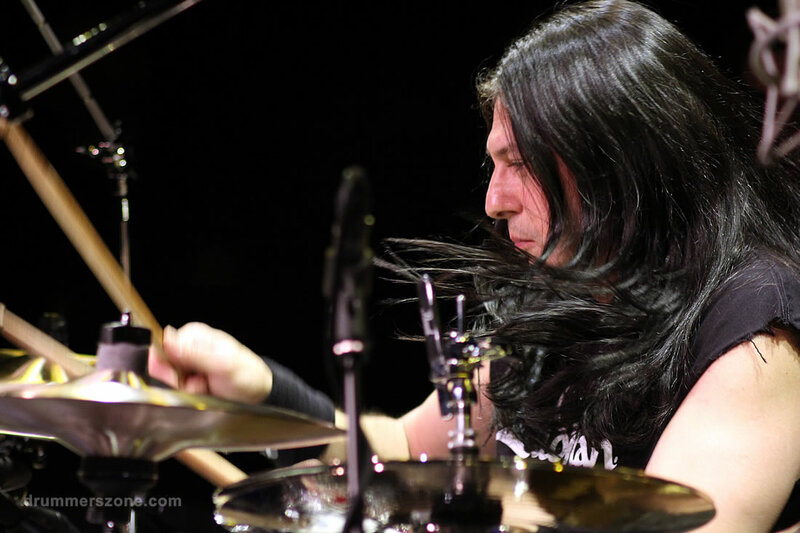 Mike Mangini performing at the Zildjian Day 2014 in Dordrecht, The Netherlands. 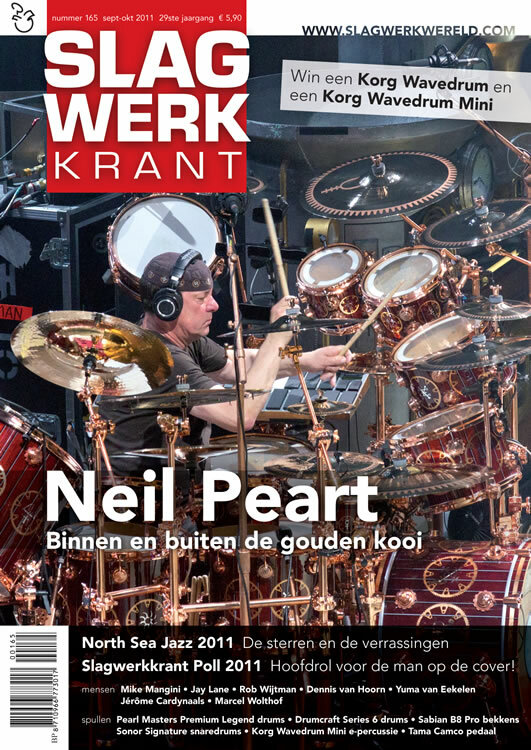 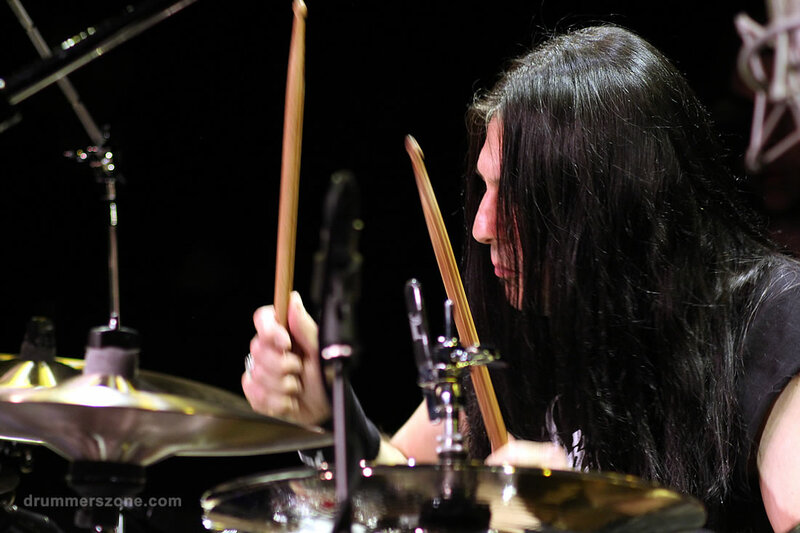 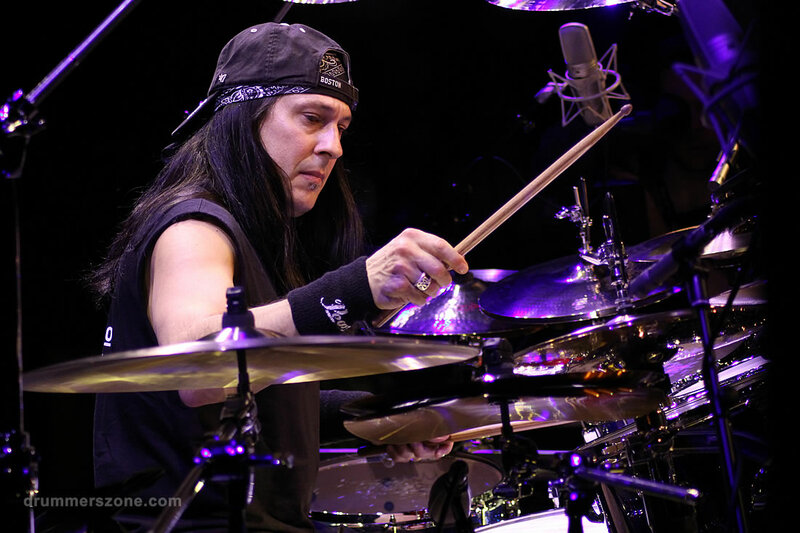 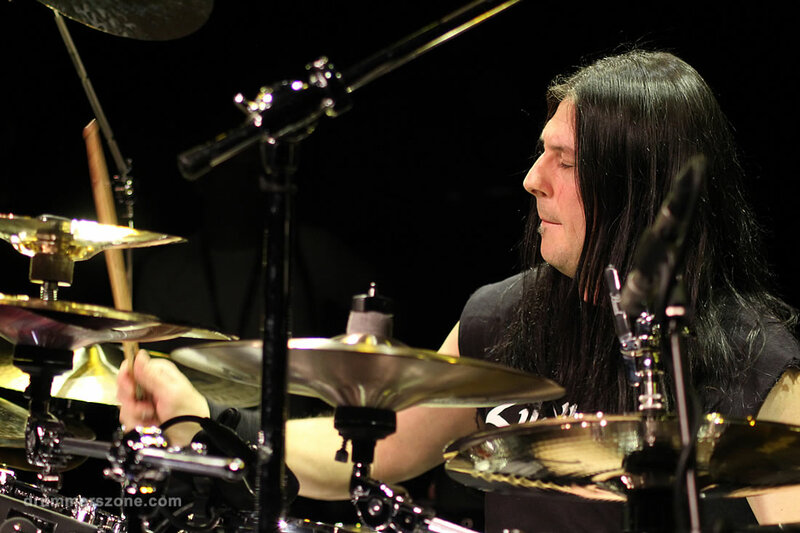 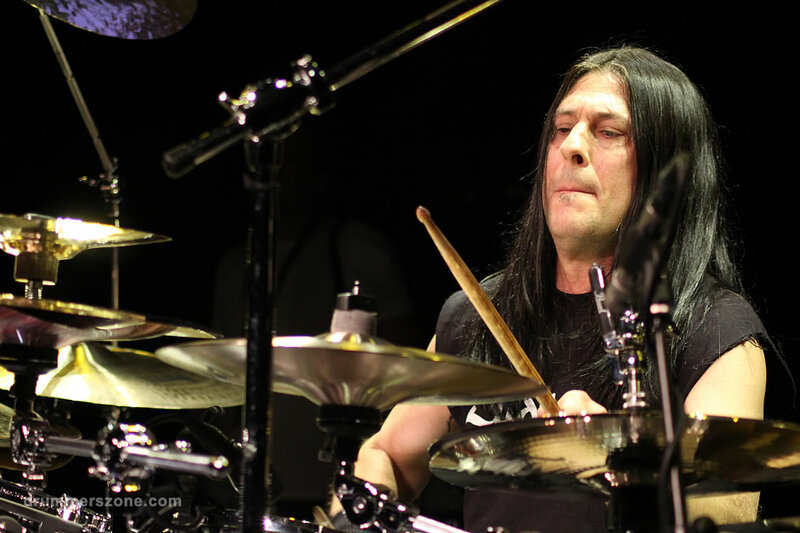 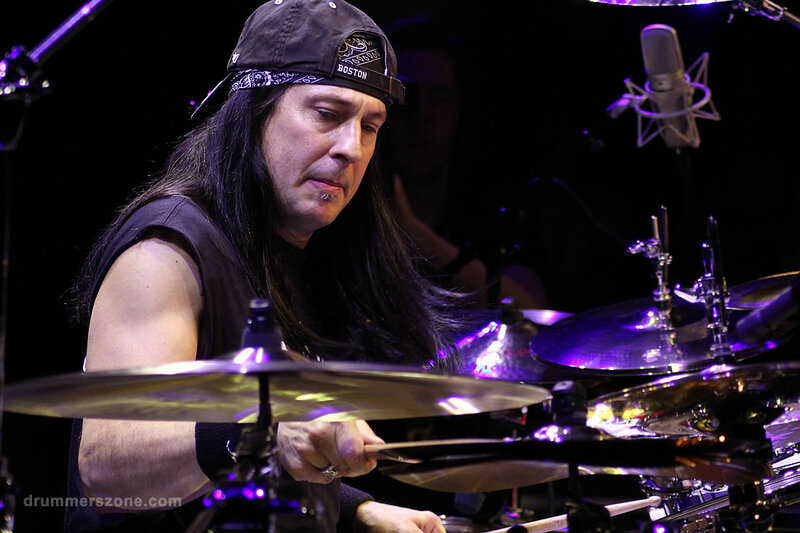 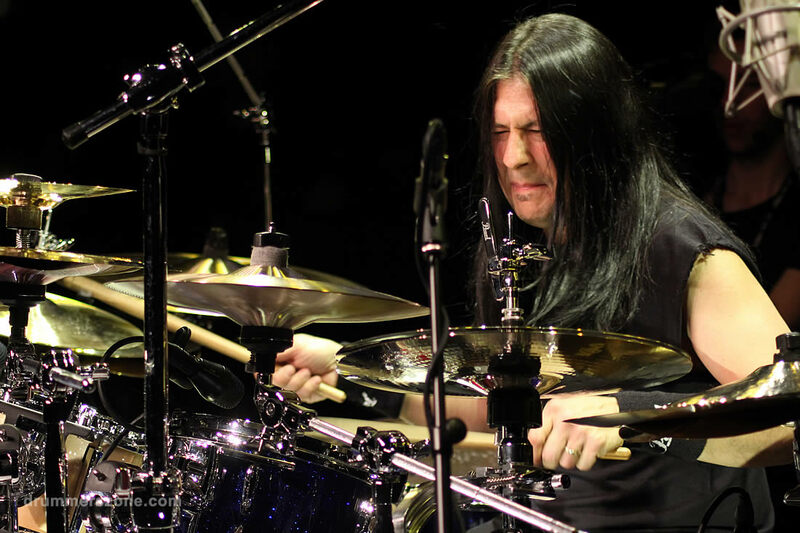 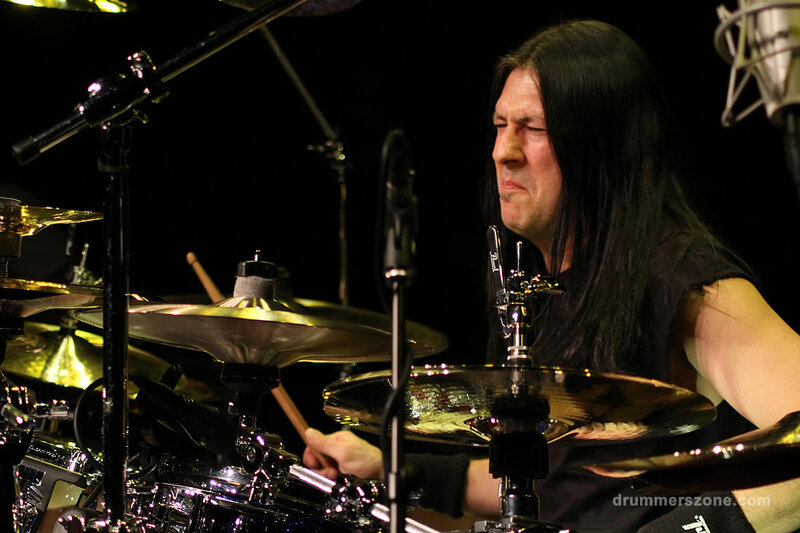 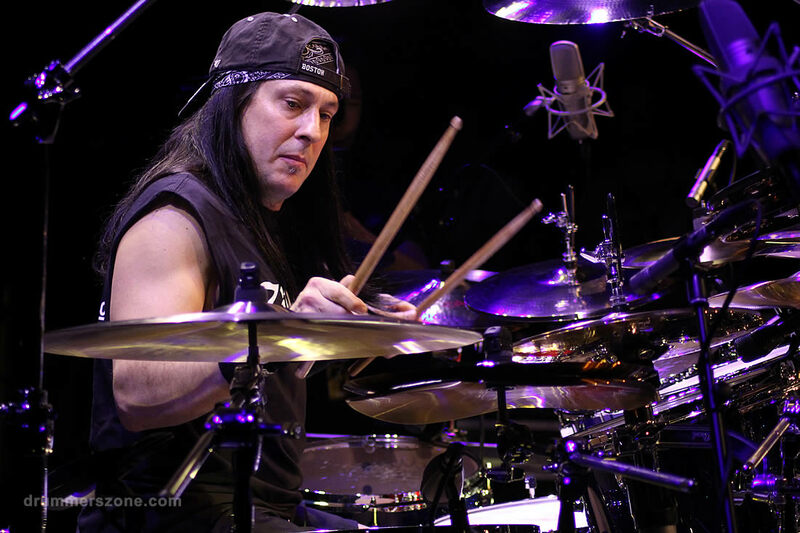 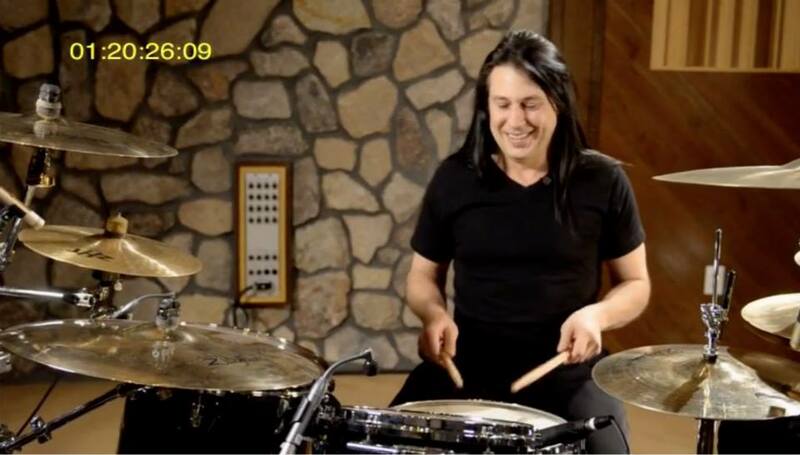 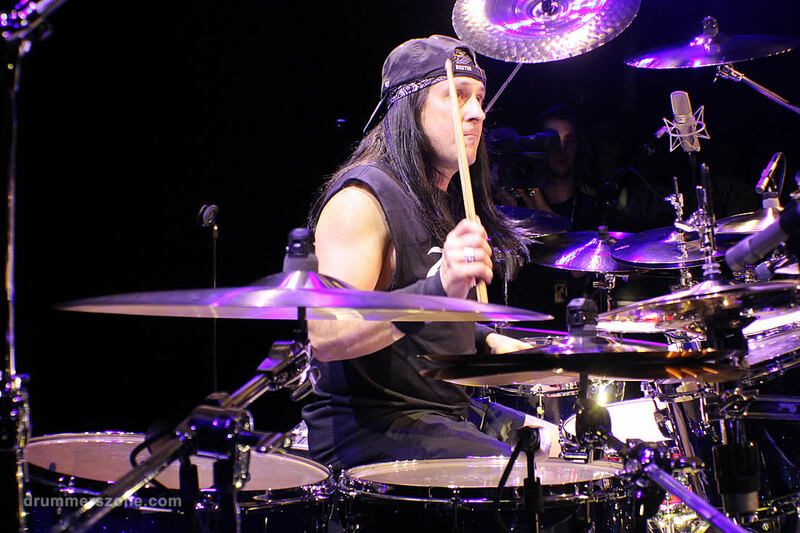 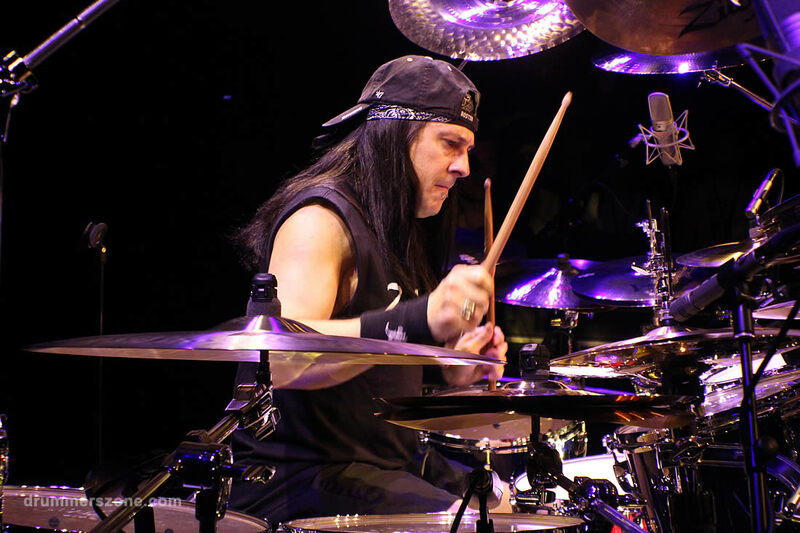 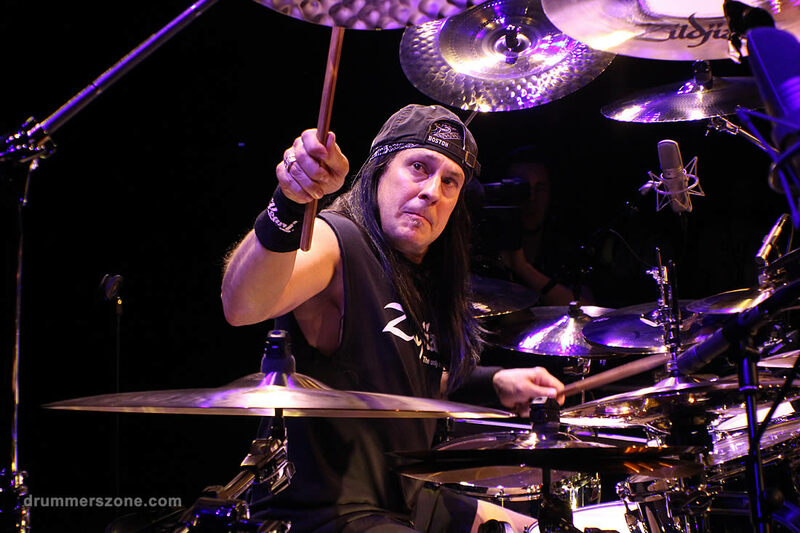 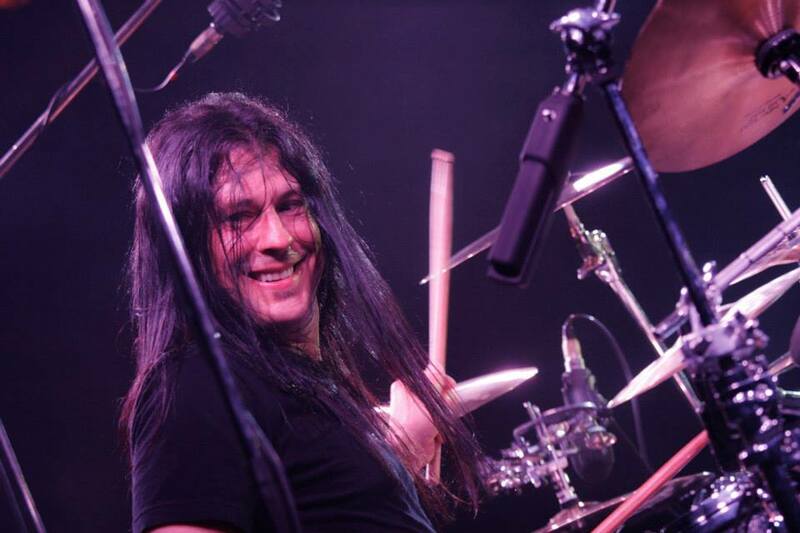 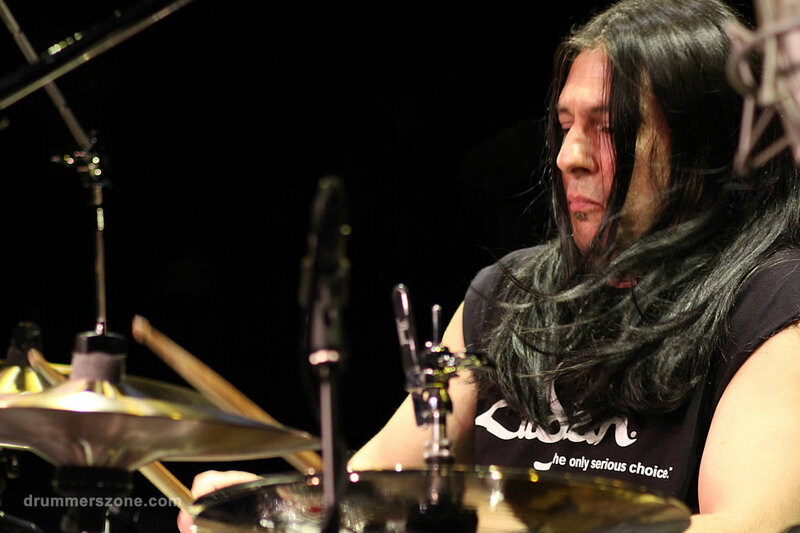 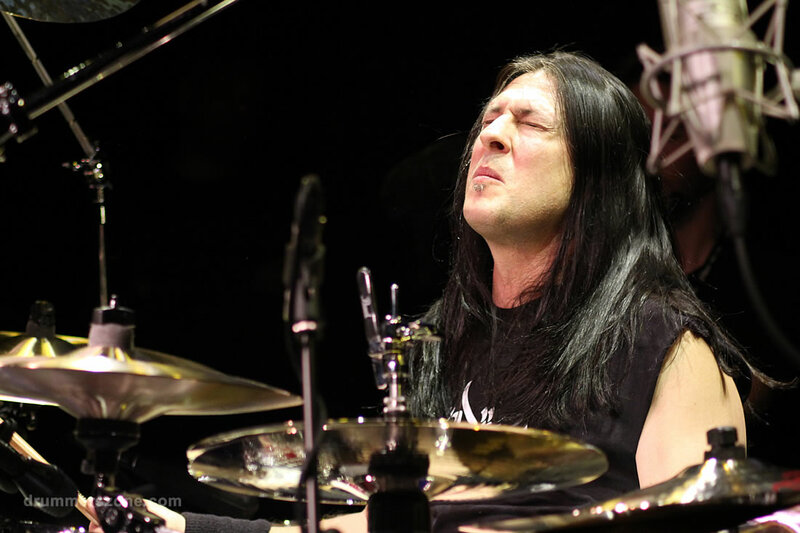 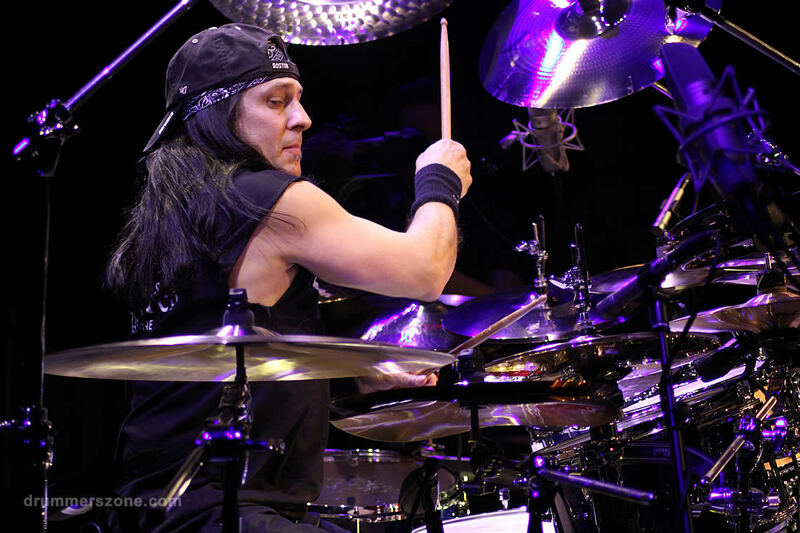 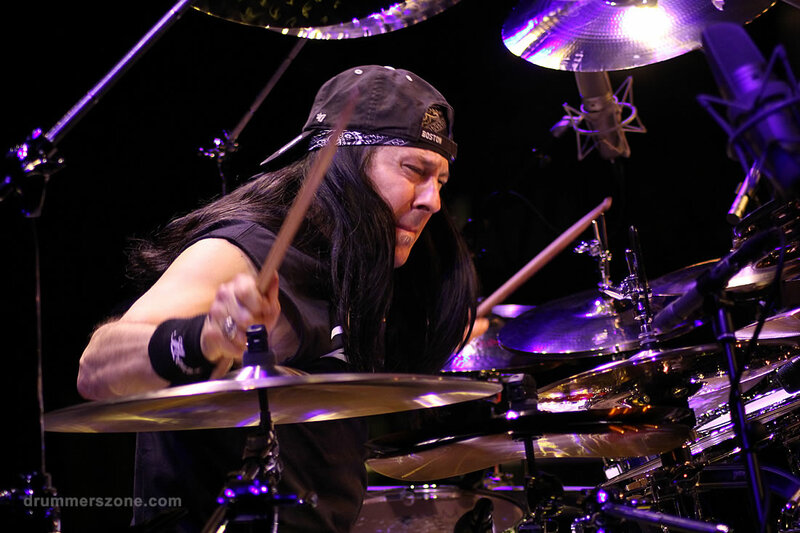 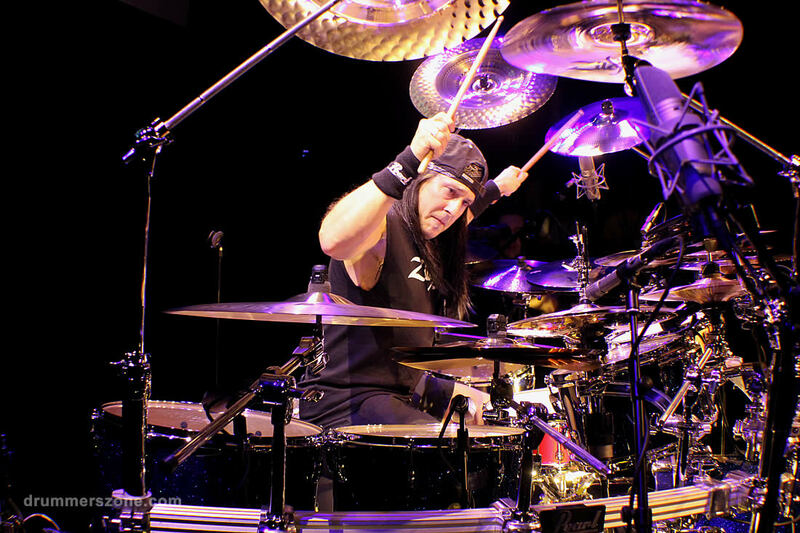 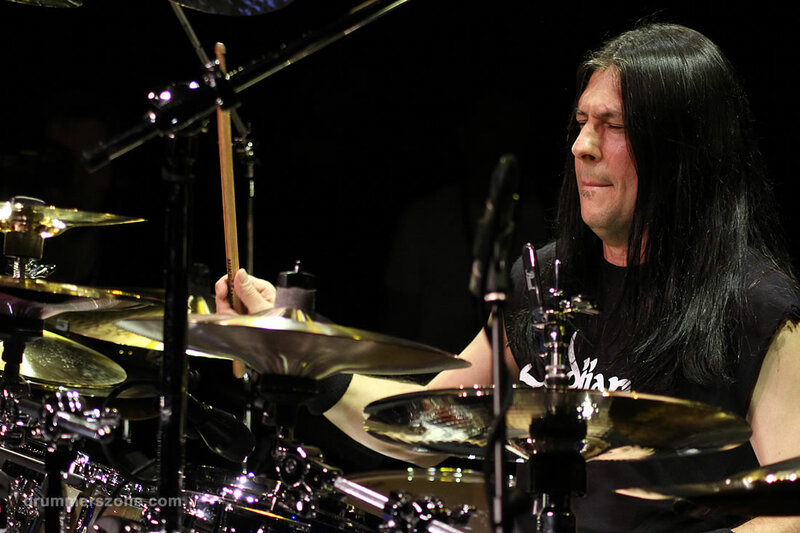 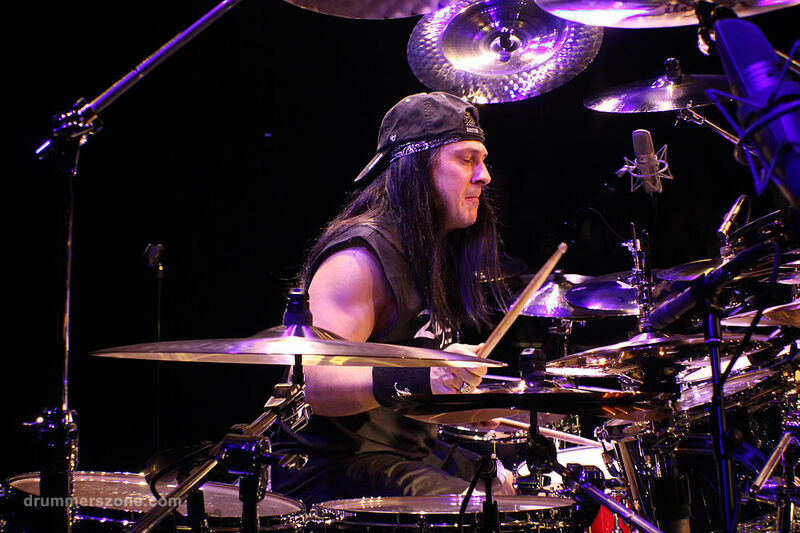 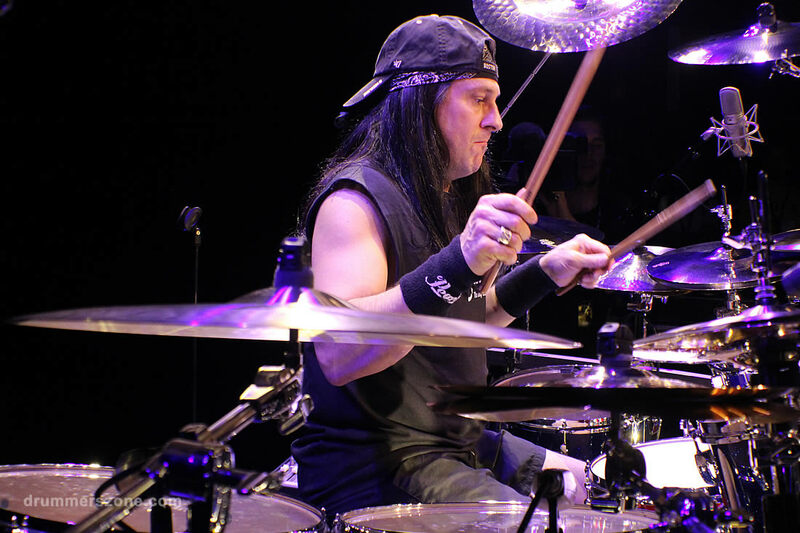 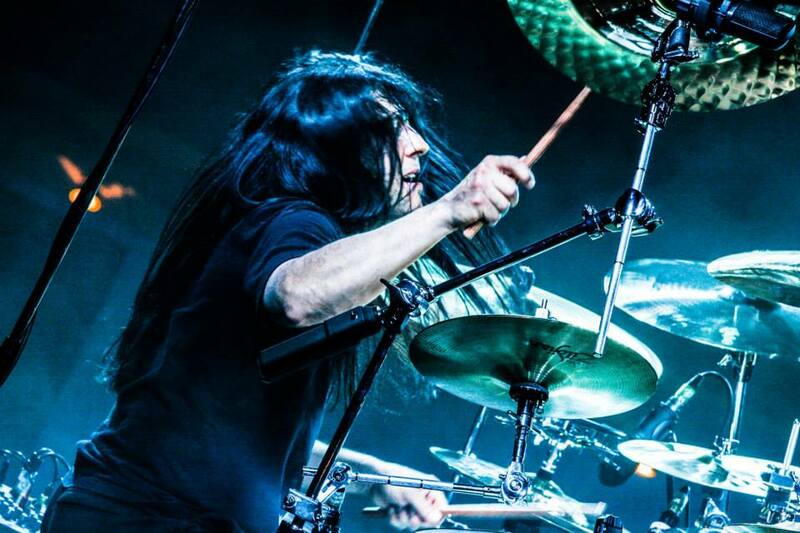 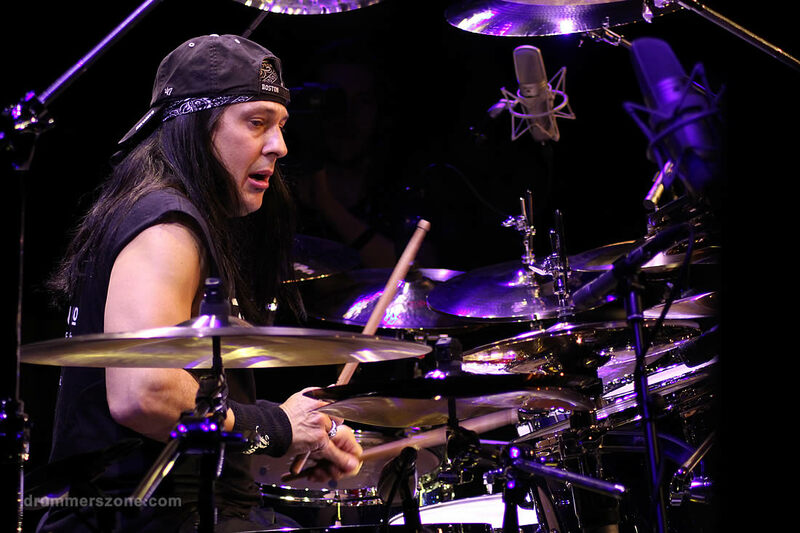 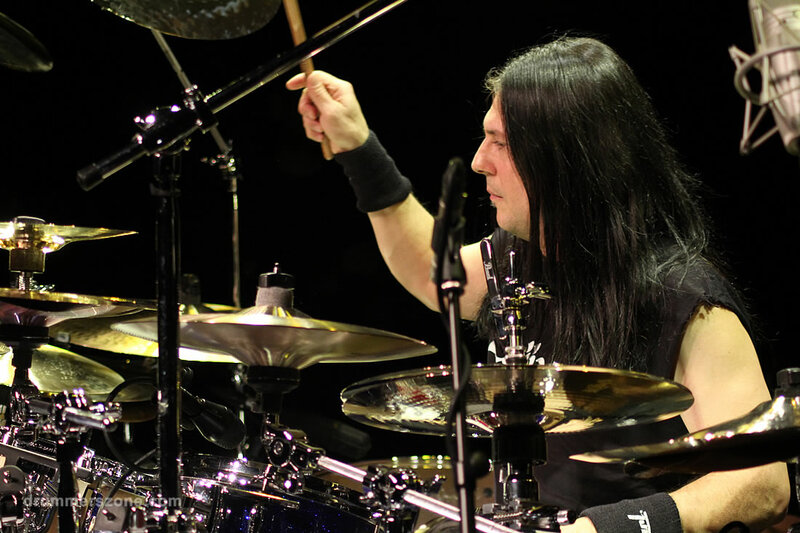 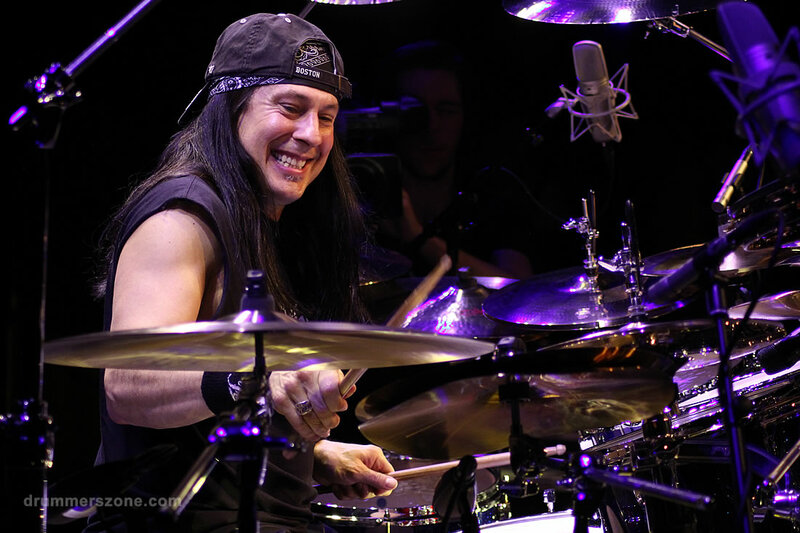 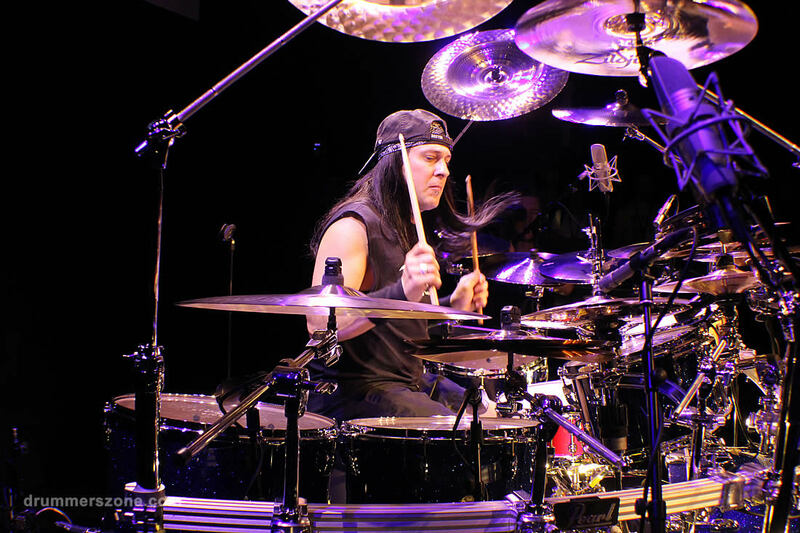 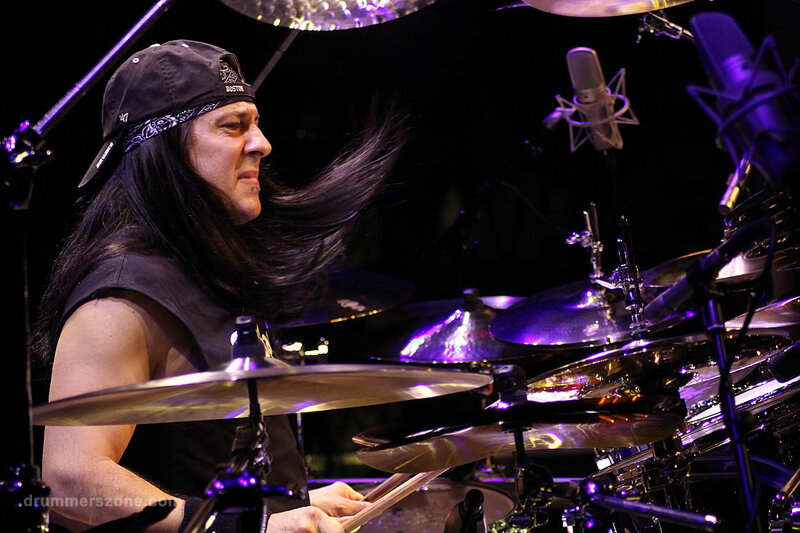 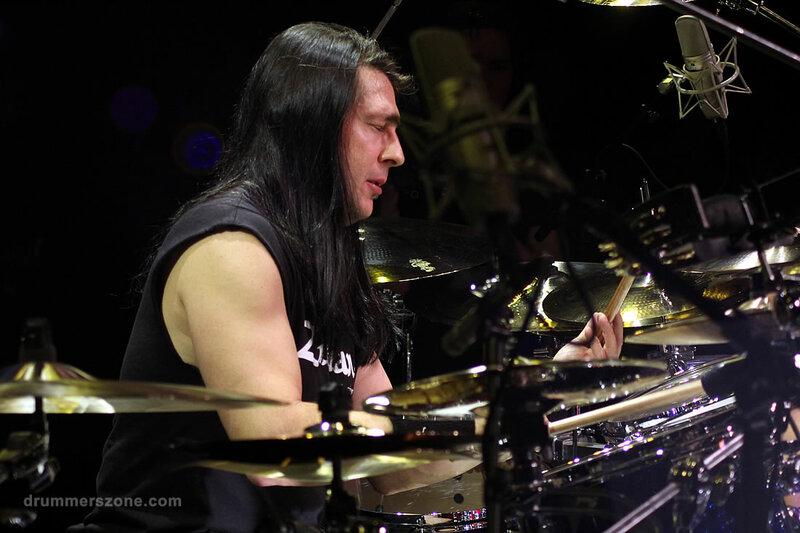 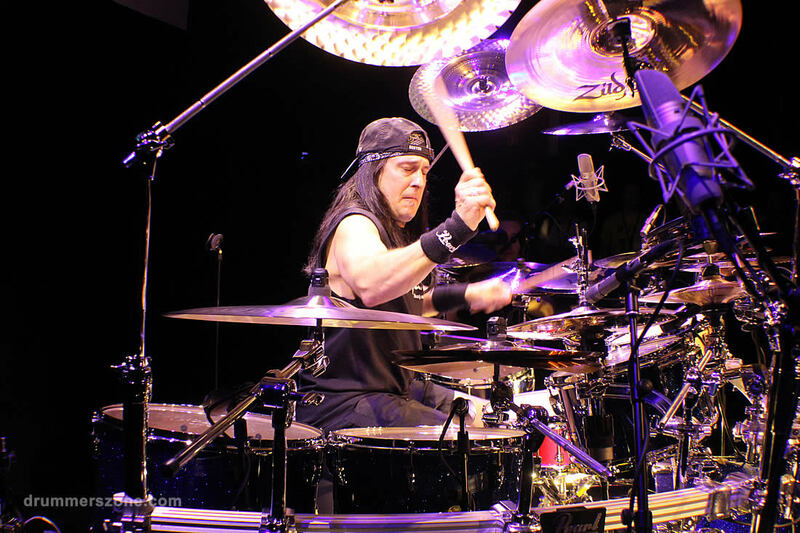 According to Rhythm Knowledge, Mike Mangini has consistently developed both the melodic and the rhythmic sides of his musical personality, devoting his "music-time" (which pretty much matches his "breathing-time") to drums, percussion, keyboards, programming, and writing. 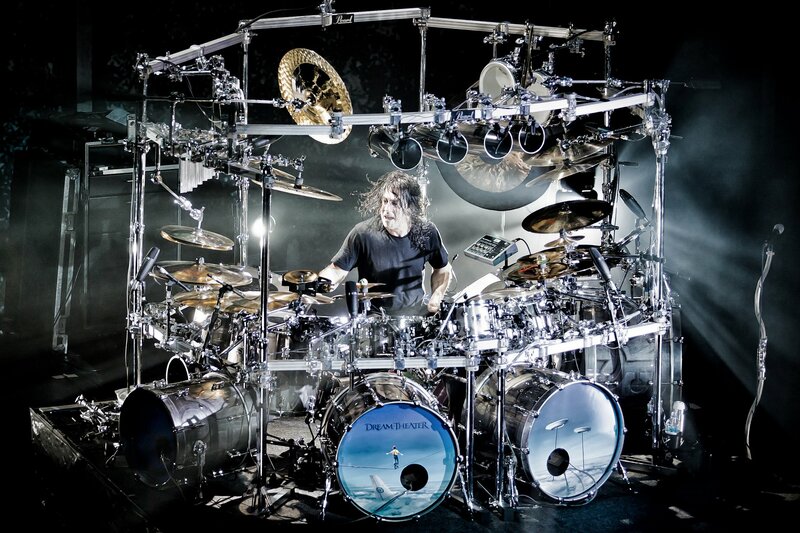 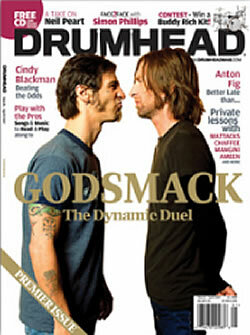 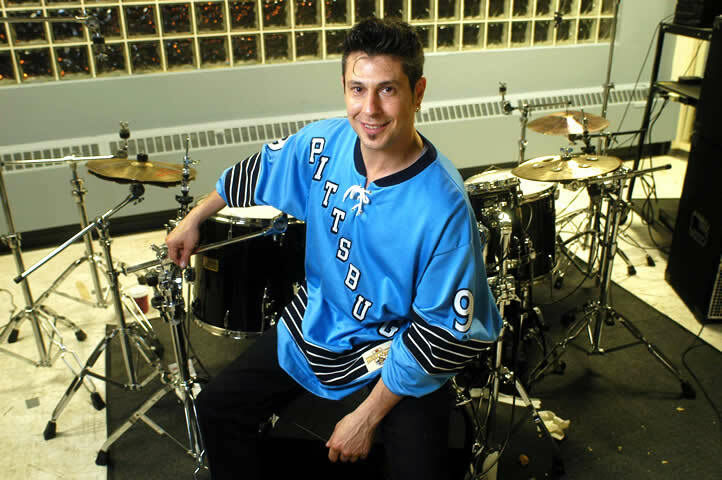 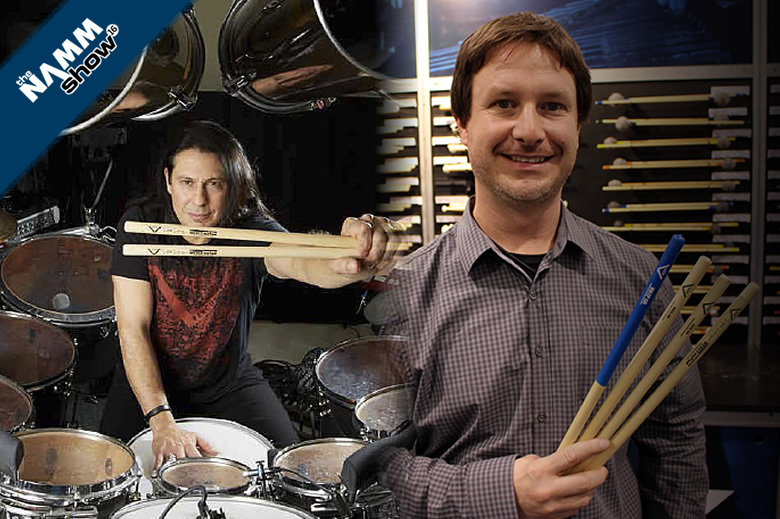 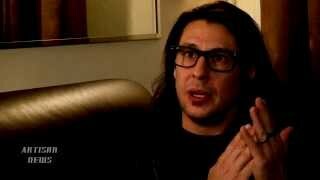 Mike Mangini has been both teacher and student. 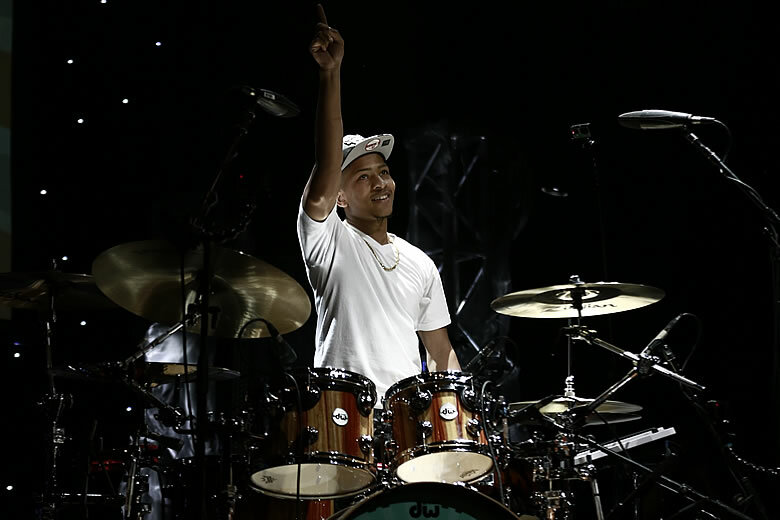 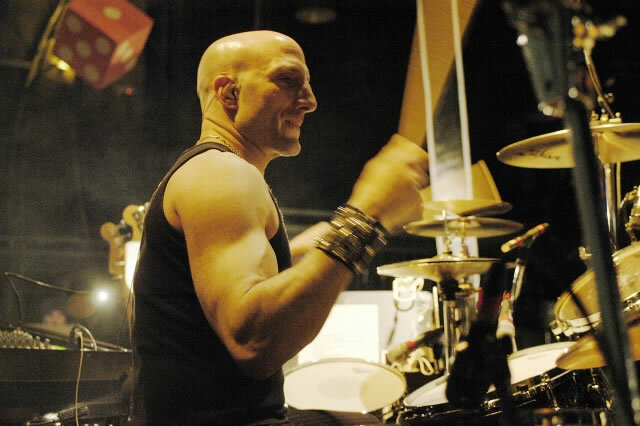 He began his musical journey at age 5, and he studied percussion privately (with Walter Tokarczyk, Public School System, Waltham, MA), from ages 10 through 18. 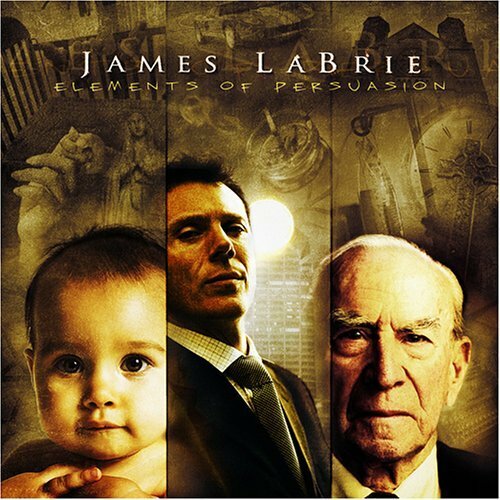 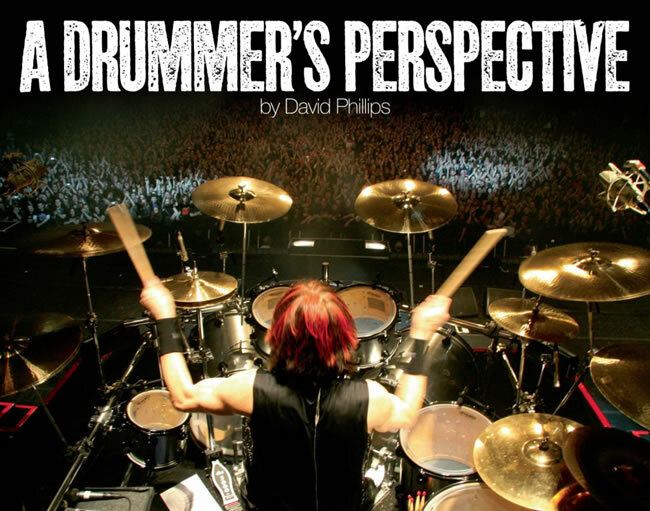 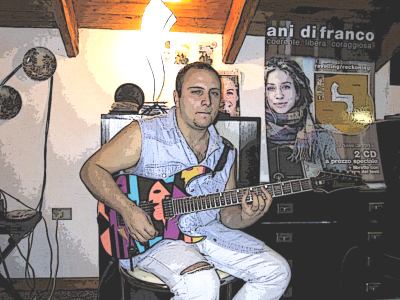 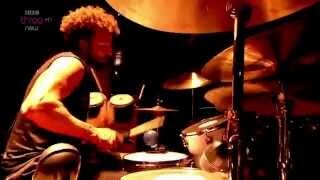 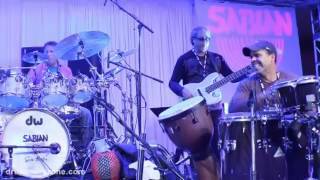 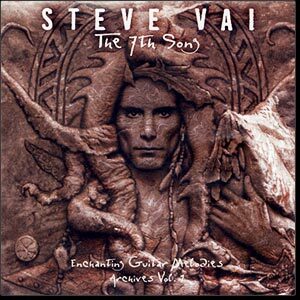 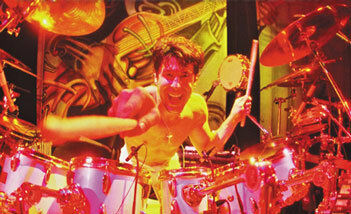 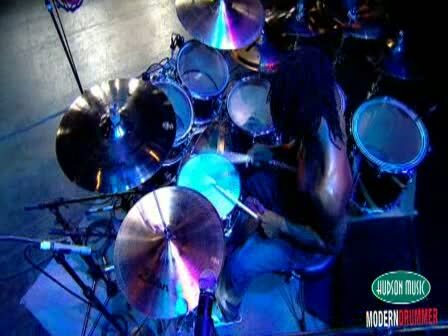 Since 1987, he has given private instruction to drummers, guitarists, pianists, etc. 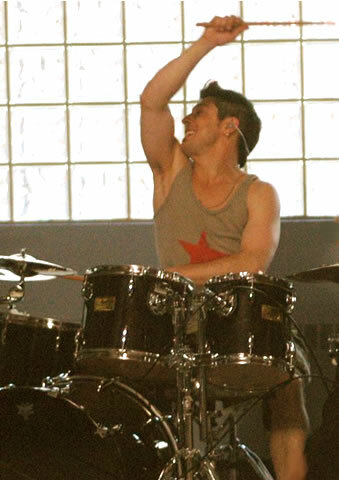 (basically anyone whose music involves rhythm). 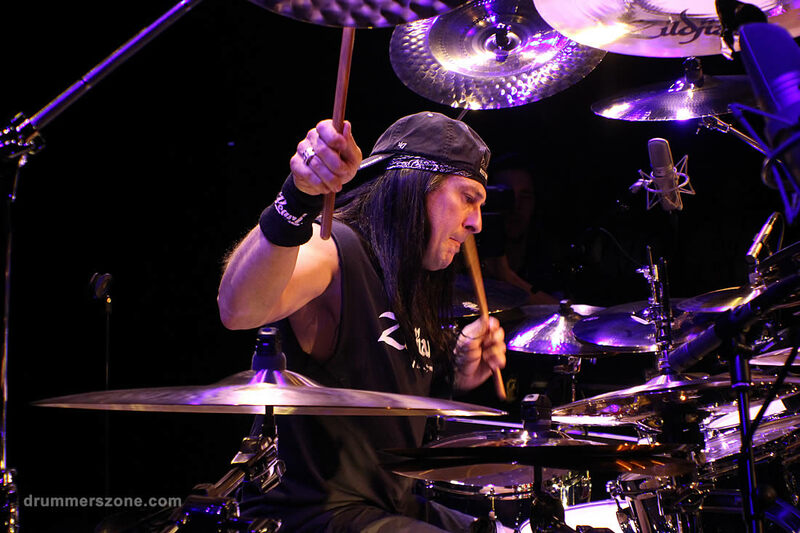 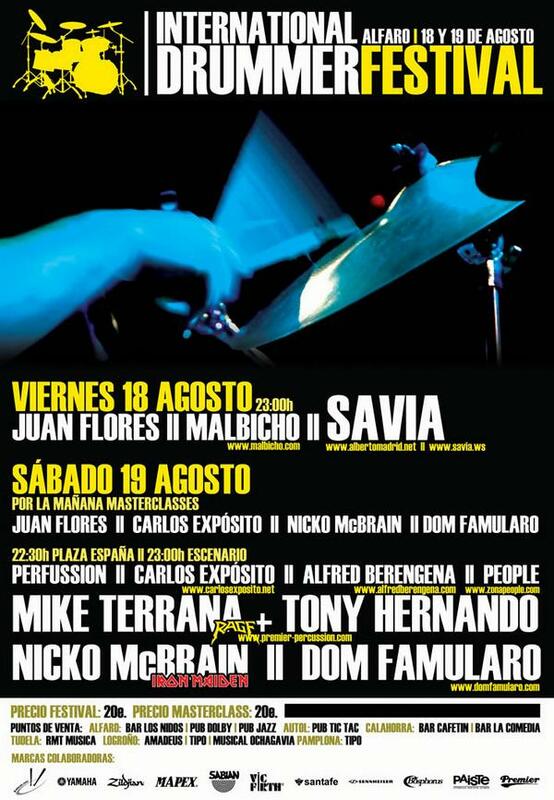 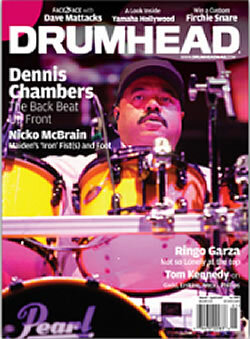 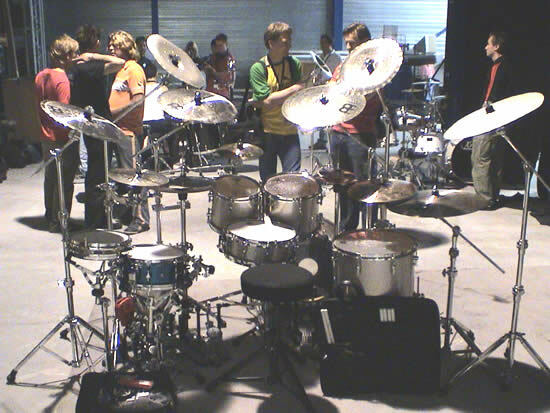 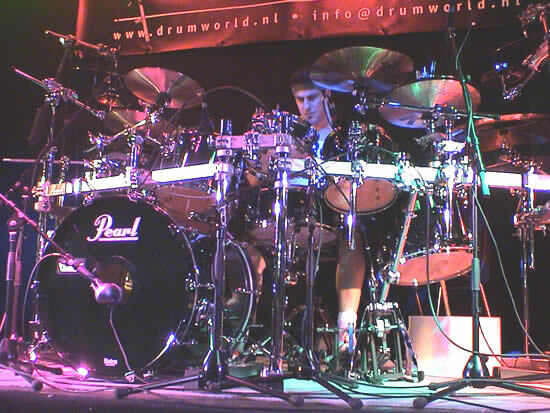 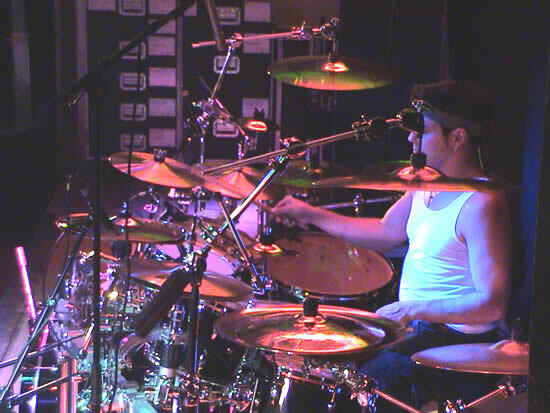 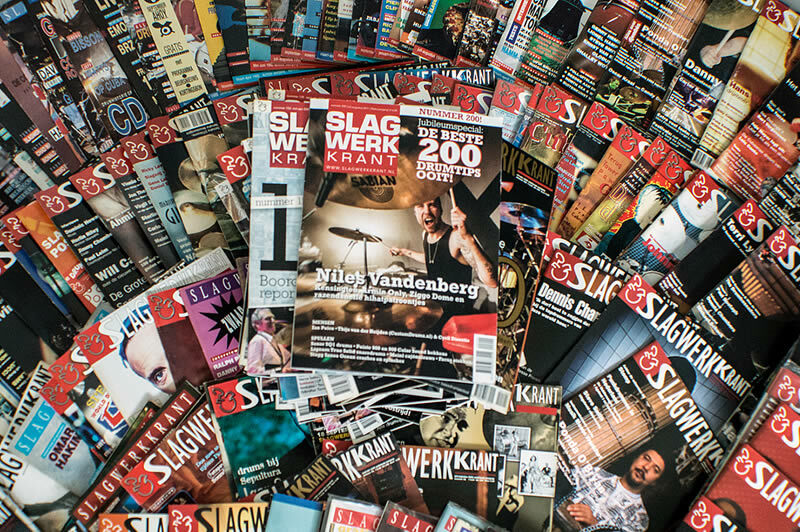 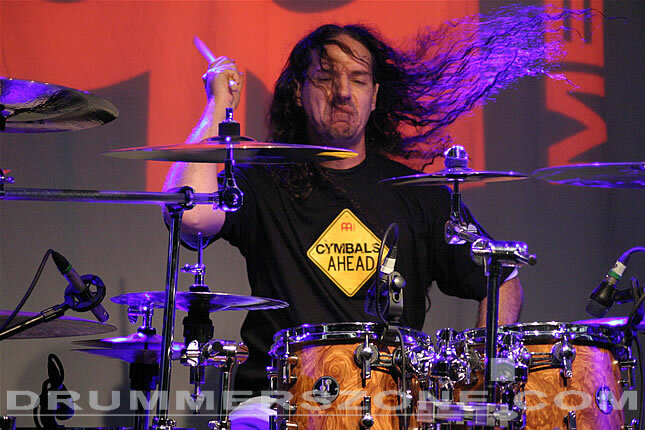 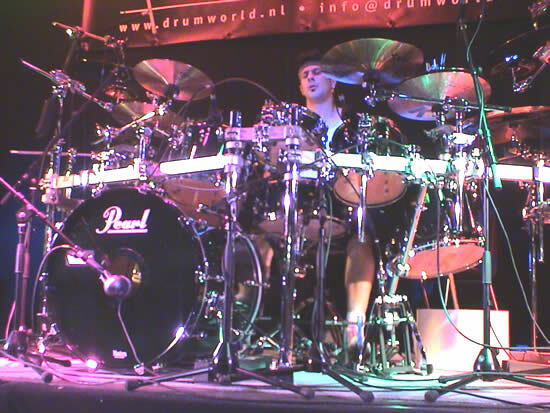 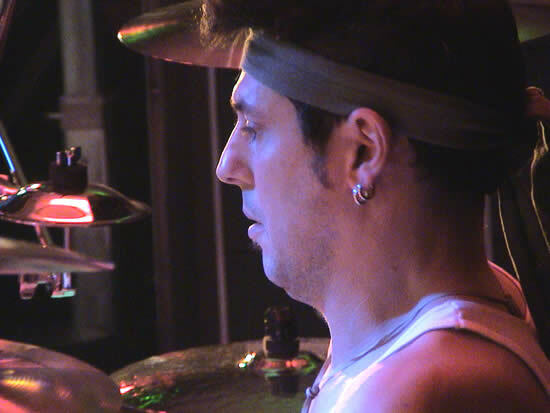 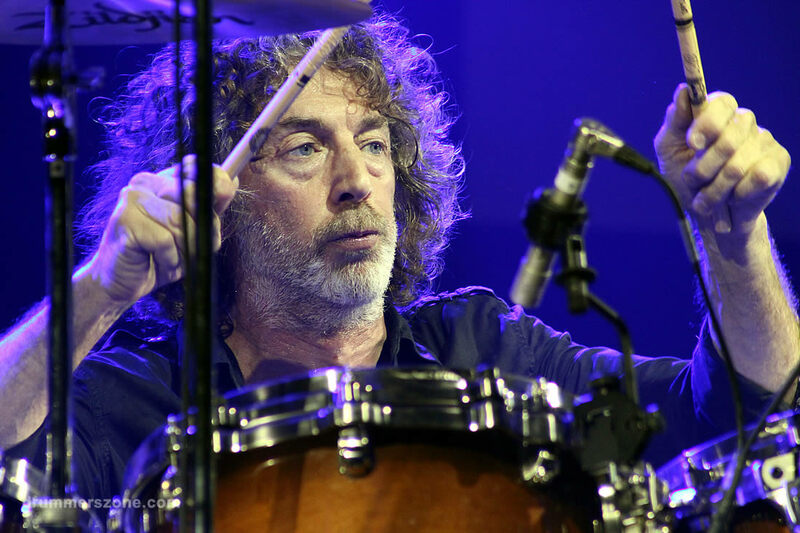 Mike completed his first drum-clinic tour of the US in 1996, and since then he has traveled the world as a clinician. 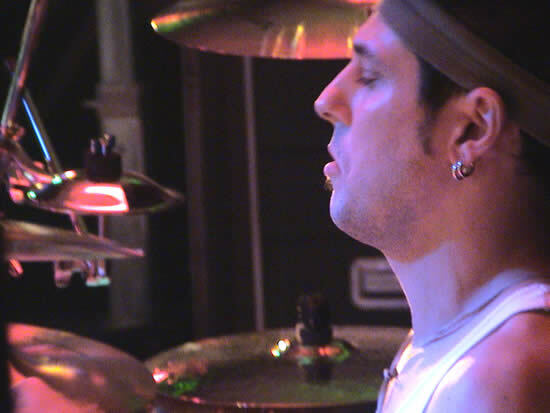 Mike has spent a positively unhealthy amount of time in recording studios. 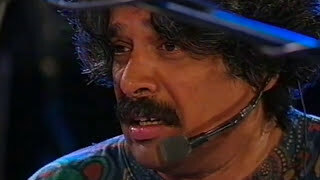 He has also worked with numerous artistes in the Pop, Country-Rock, Jazz, and Classical fields. 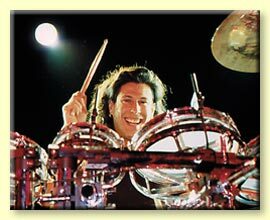 When Mike Mangini speaks of the importance of being able to relate to others, "in and out of the limelight", he is talking from experience. 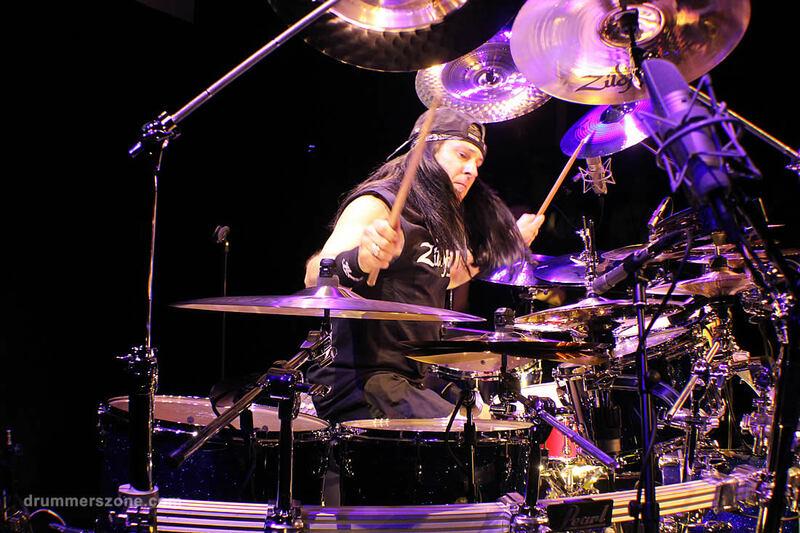 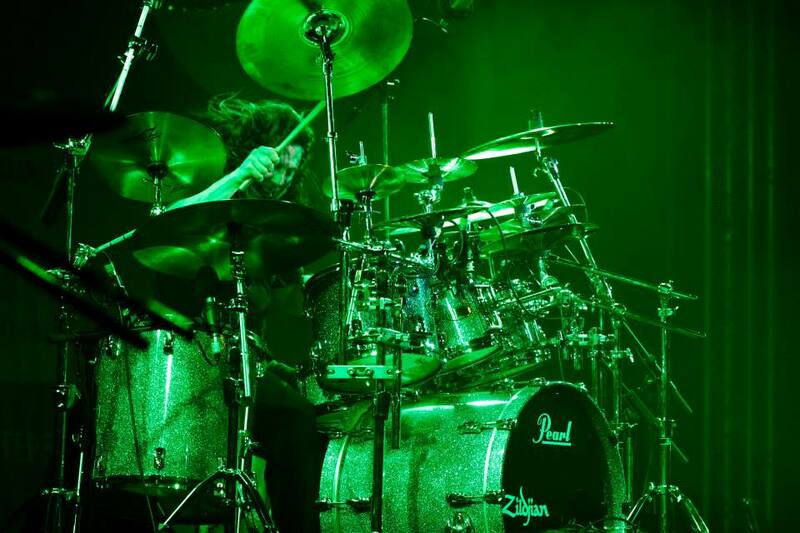 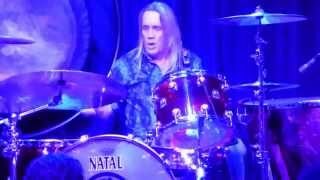 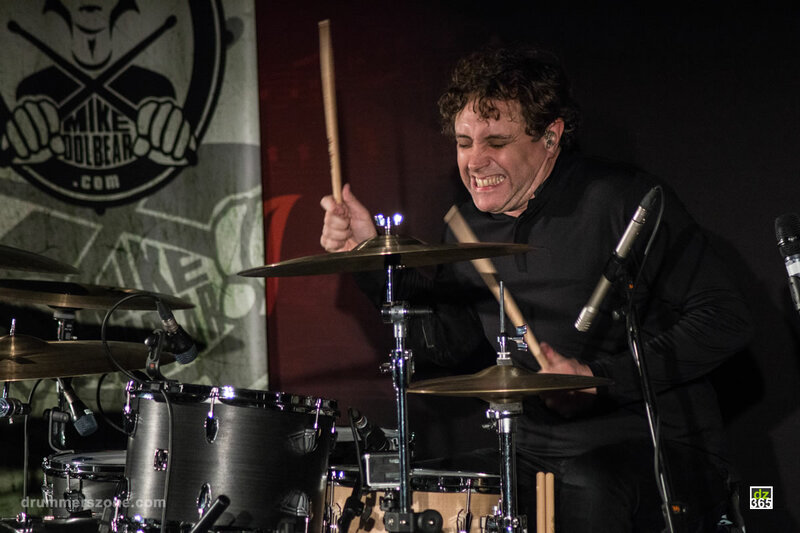 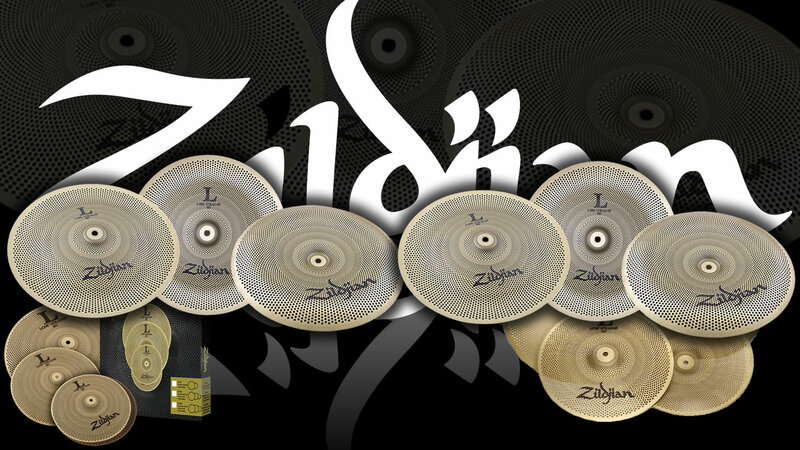 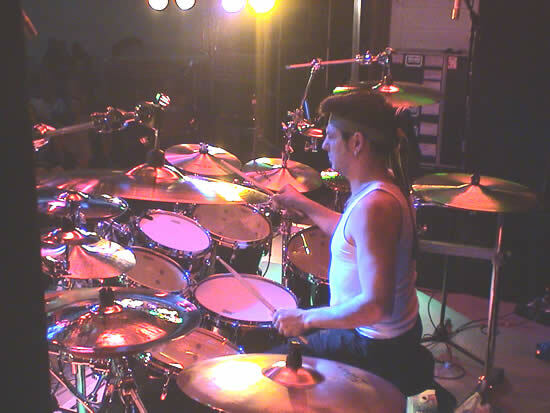 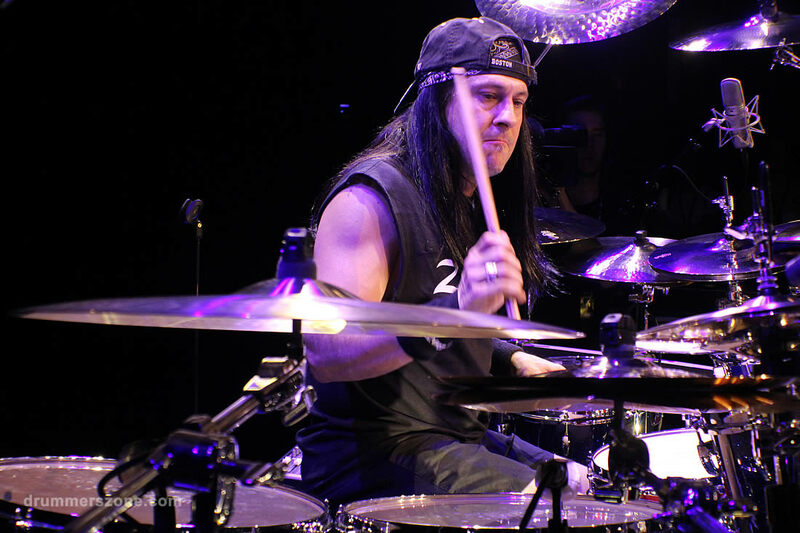 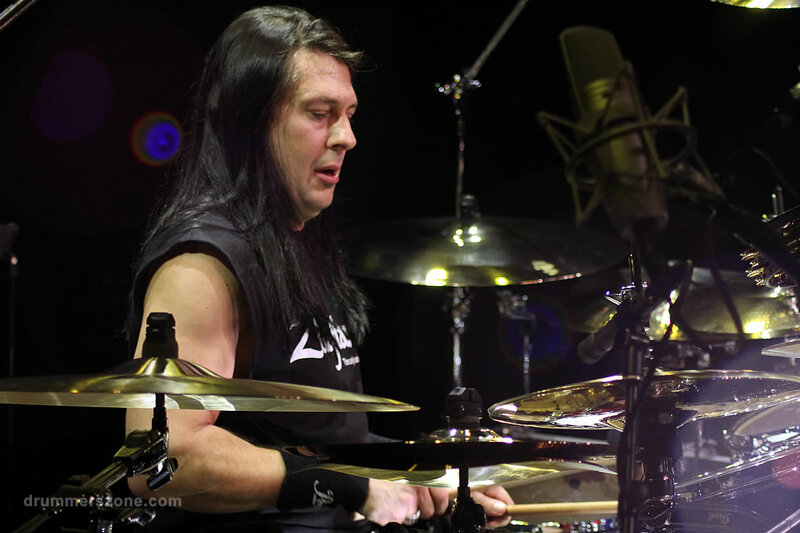 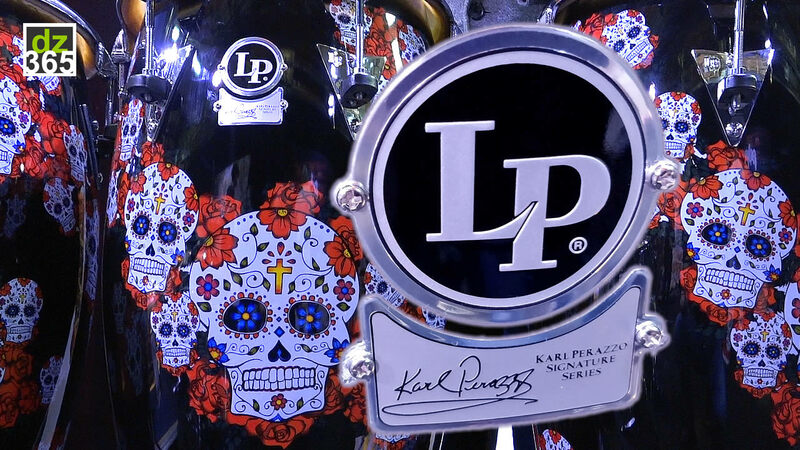 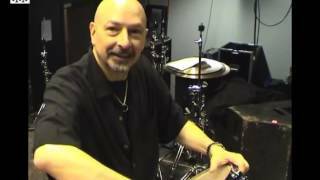 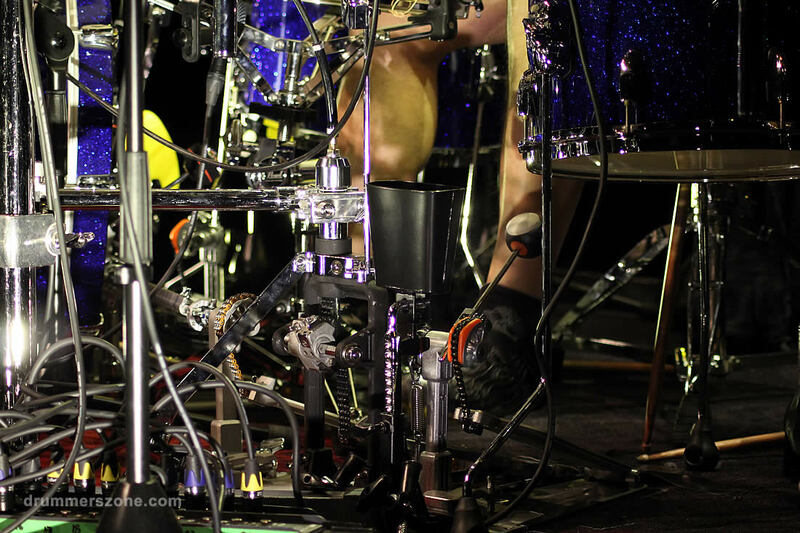 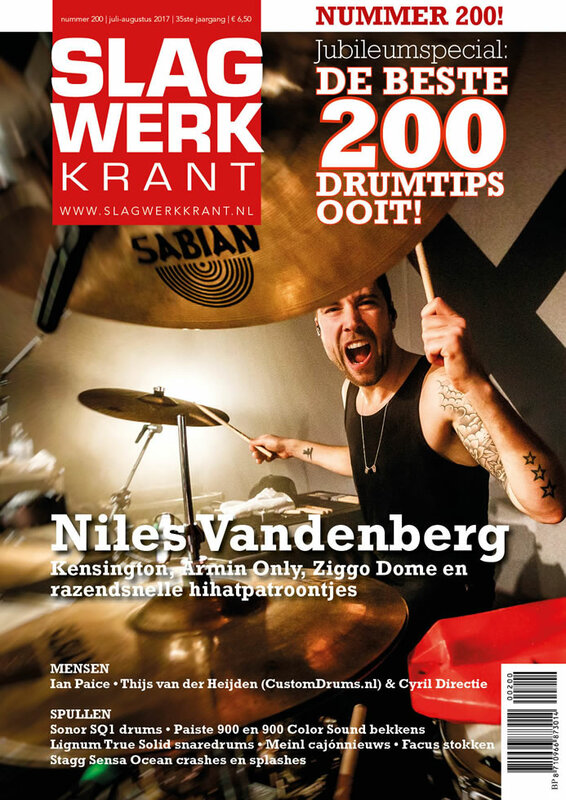 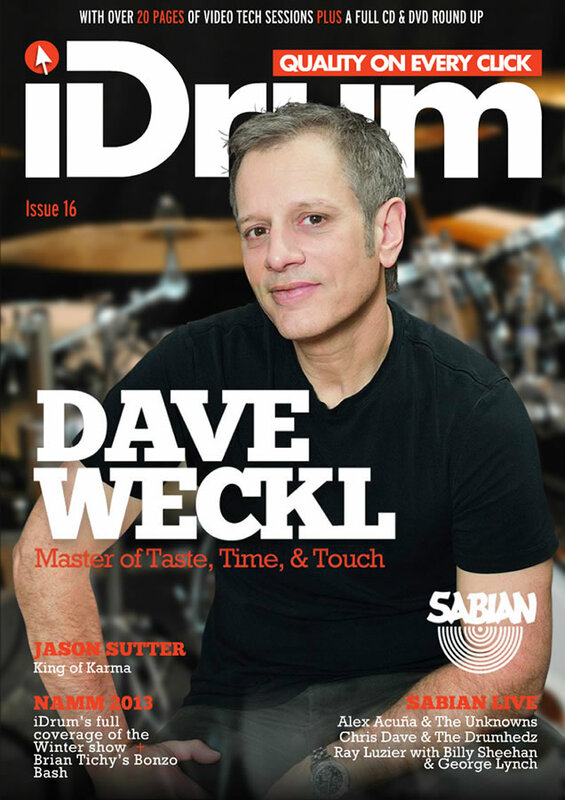 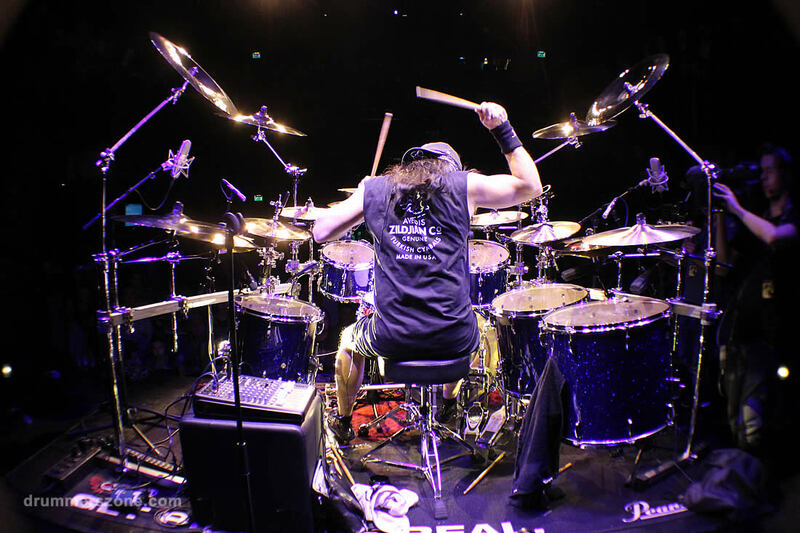 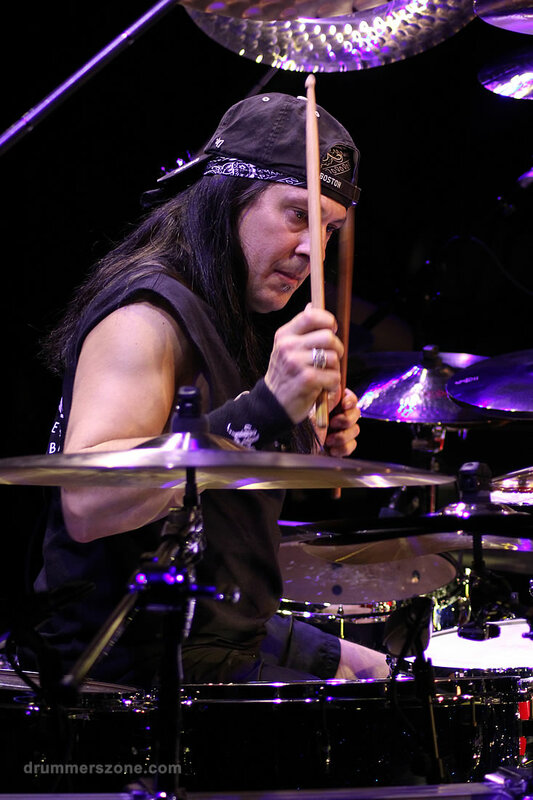 He has toured with Steve Vai, Extreme, Dale, Bozzio/Missing Persons, and Annihilator, to name a few, and is an active clinician for Pearl, Zildjian, and Remo. 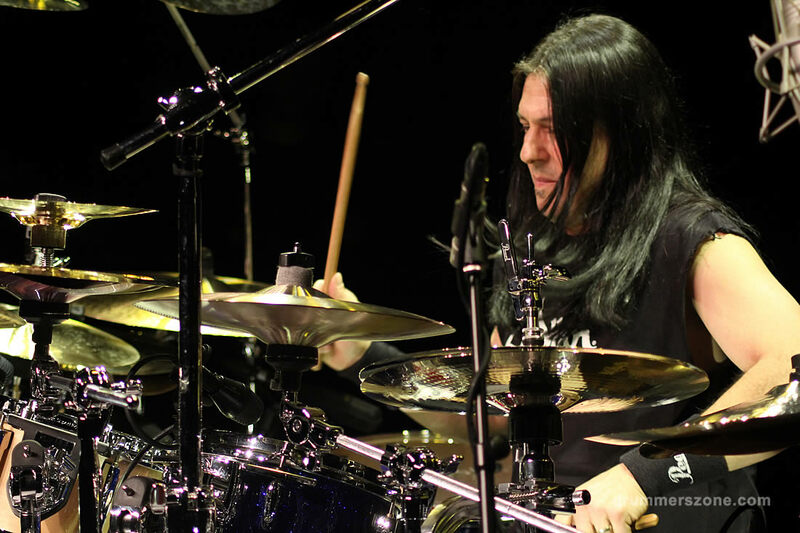 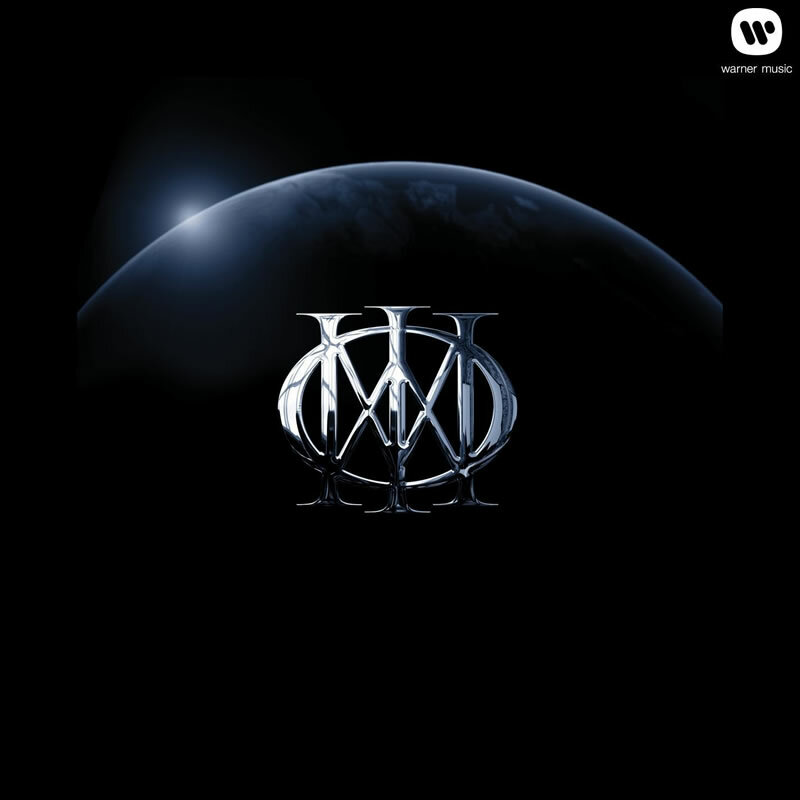 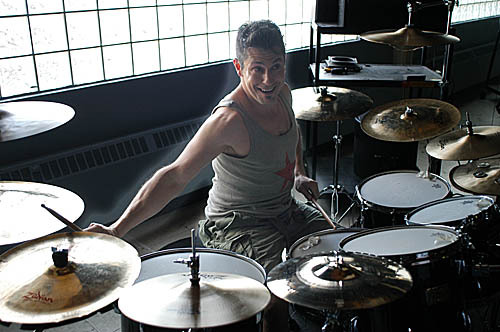 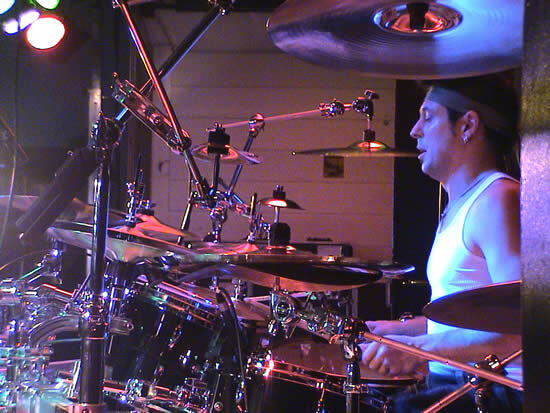 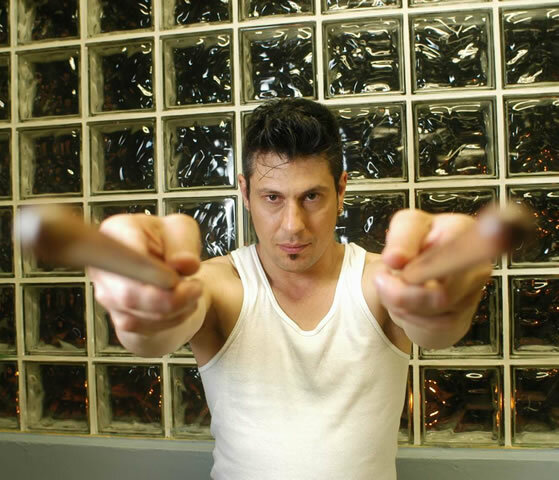 Prior to his more public outings, Mike Mangini spent 12 years in the driver's seat with many not-so-familiar bands, in New England and Florida, playing both covers and original music. 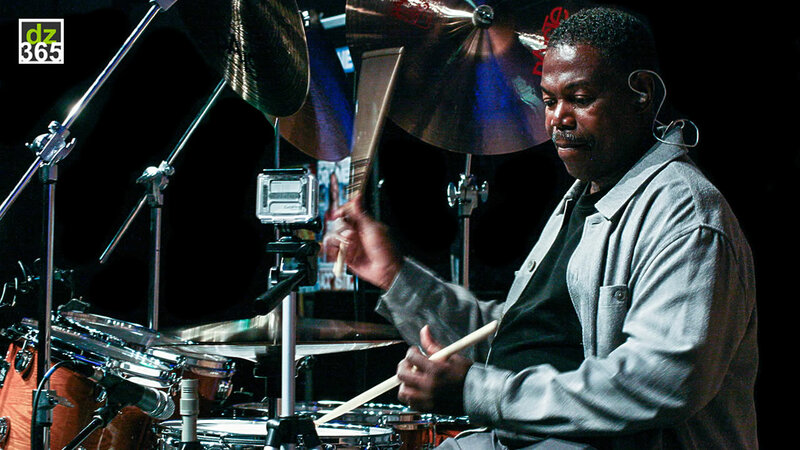 Along the way he has also put in his time with jazz combos/big bands, orchestras, concert bands, percussion ensembles and marching bands. 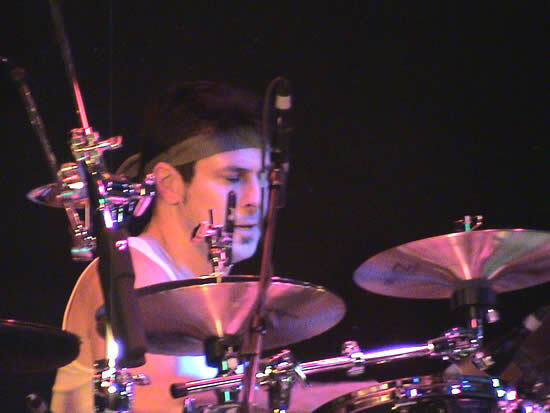 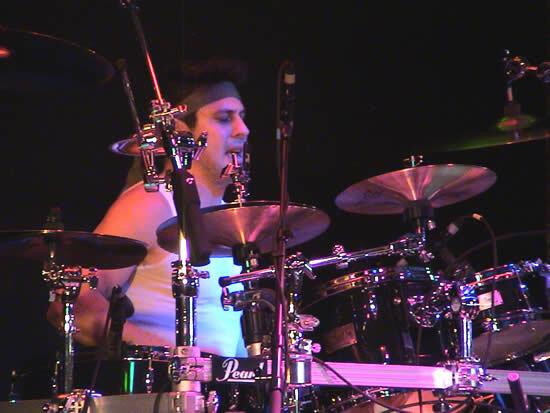 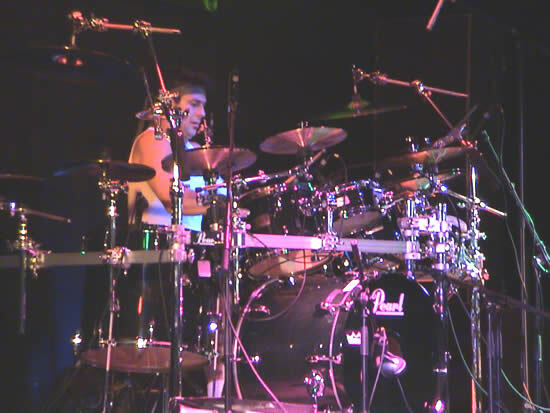 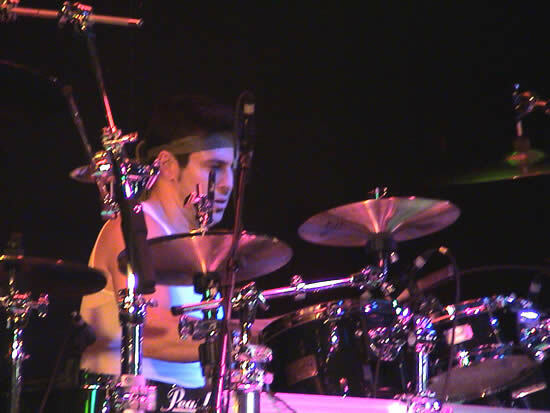 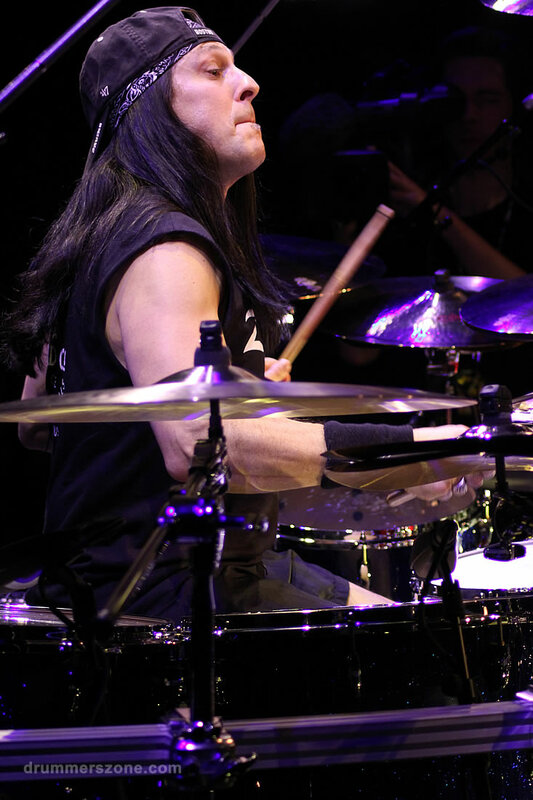 Mike Mangini first gained major notoriety as the drummer for the rock band Extreme. 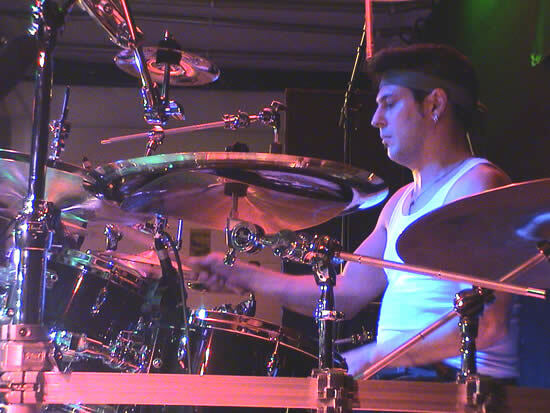 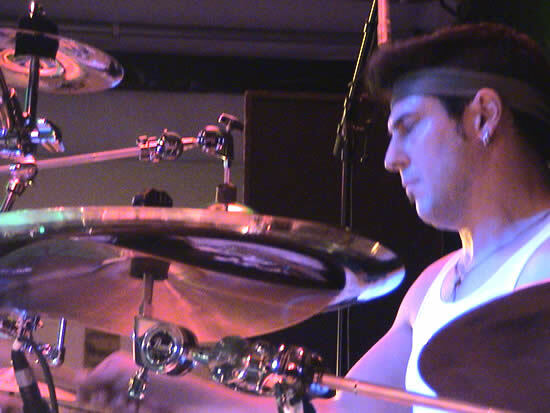 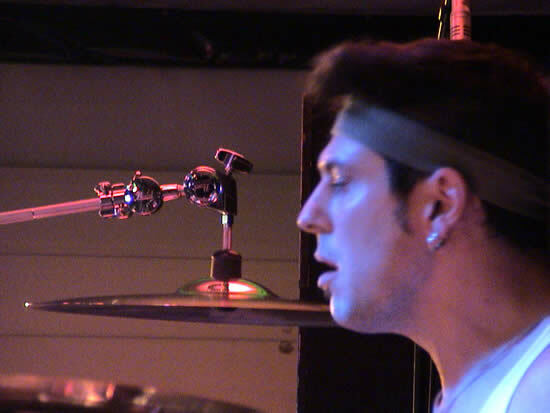 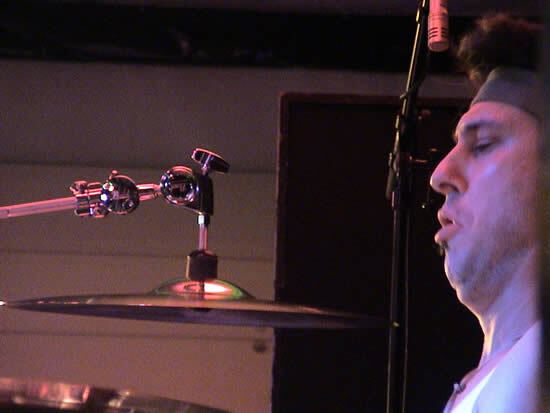 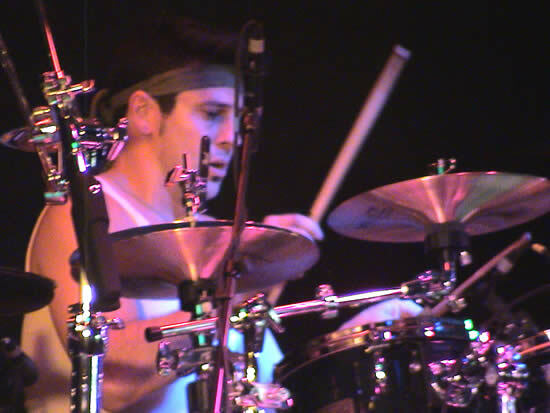 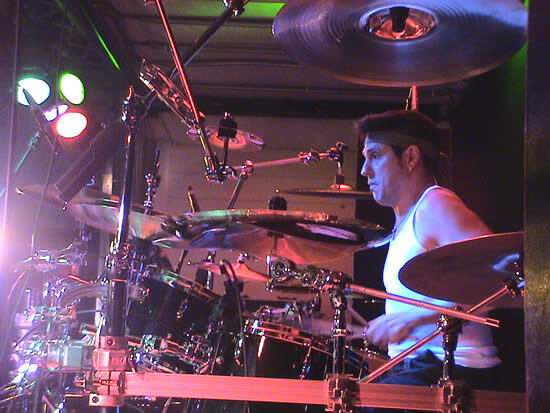 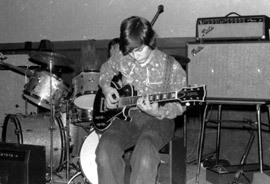 Replacing original drummer, Paul Geary, Mike quickly established his reputation as a rock-drumming virtuoso. 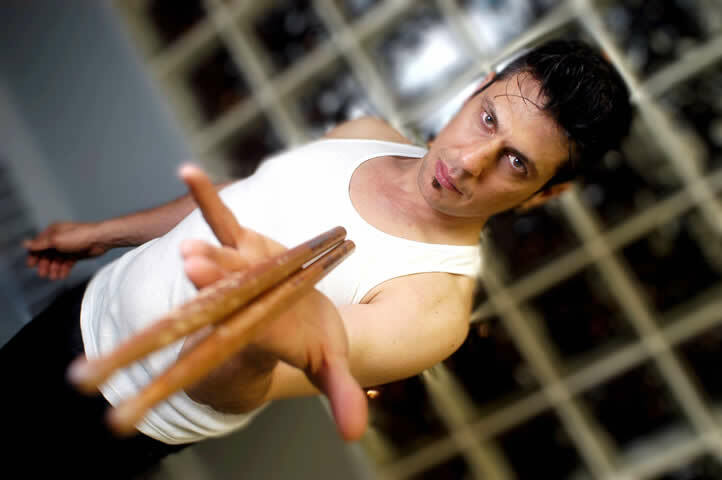 His style is an amalgamation of speed, power, dexterity, and pure musicality. 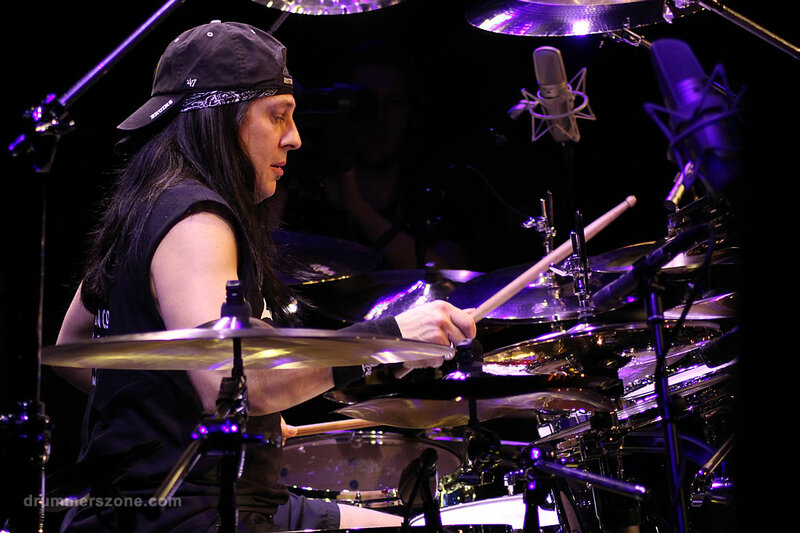 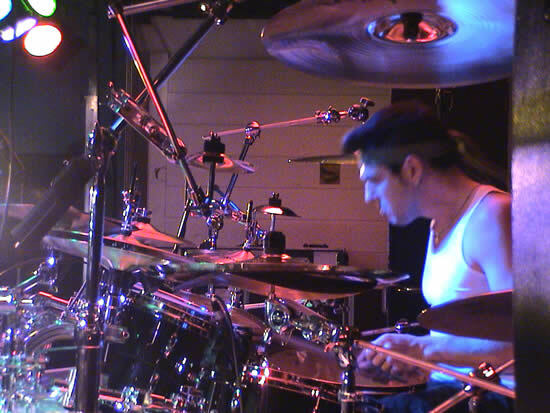 Mike Mangini's list of credits includes recorded works with artists such as, Steve Vai, Mike Keneally, Nuno Bettencourt, and Annihilator. 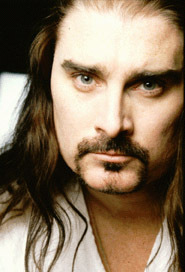 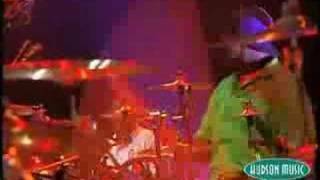 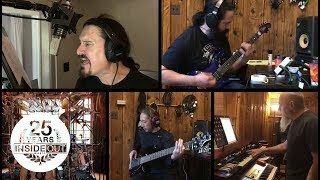 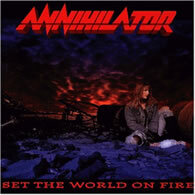 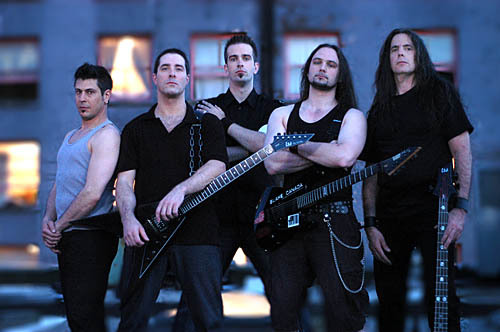 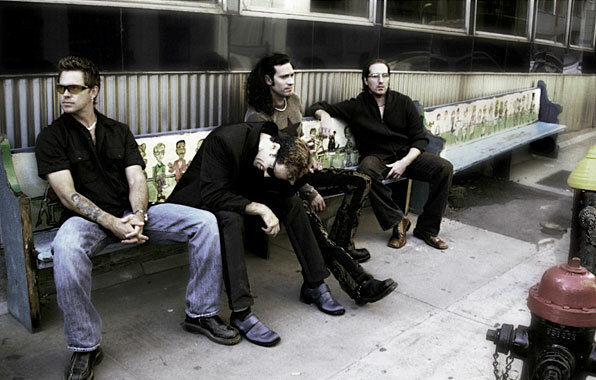 In 1999 Mike played on the Mullmuzzler album �Keep it to Yourself� featuring James LaBrie (singer for Dream Theater) on vocals. 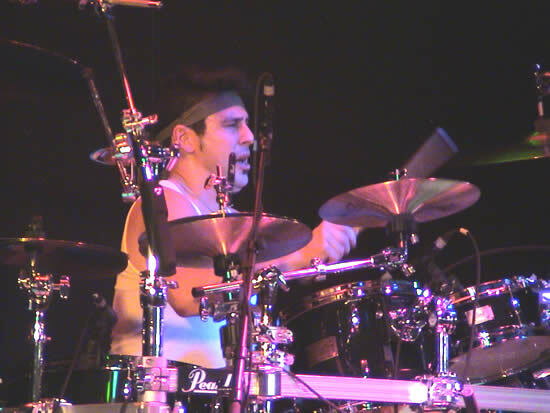 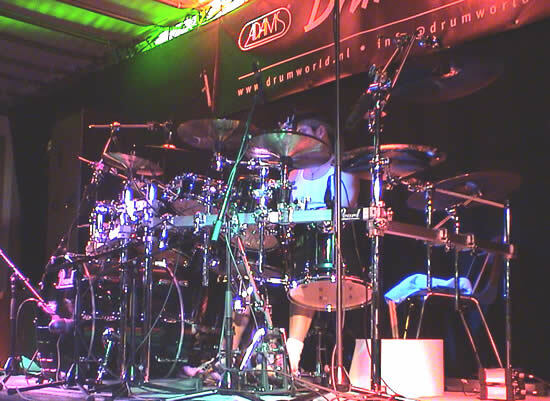 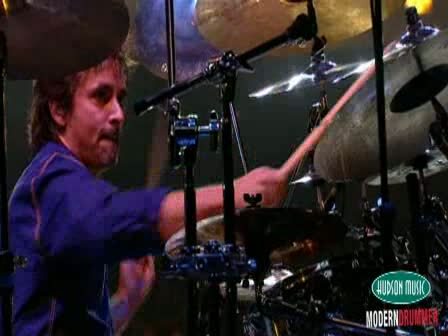 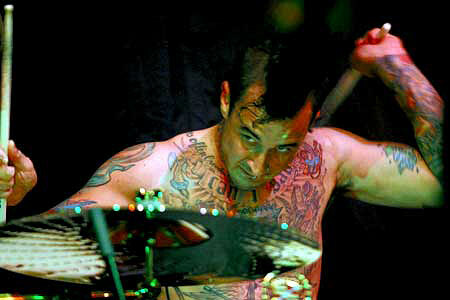 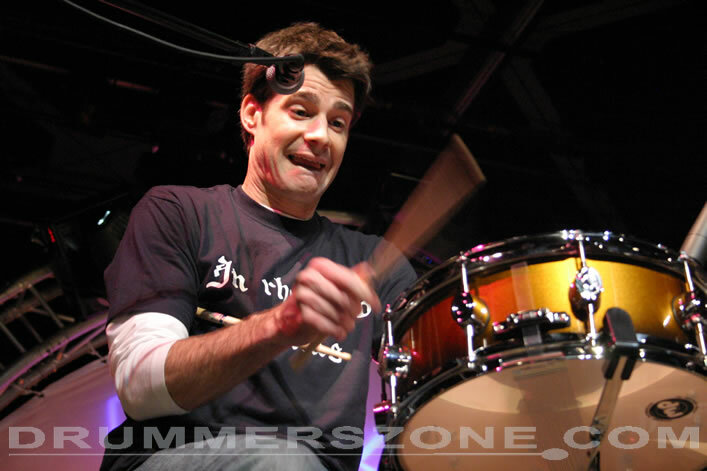 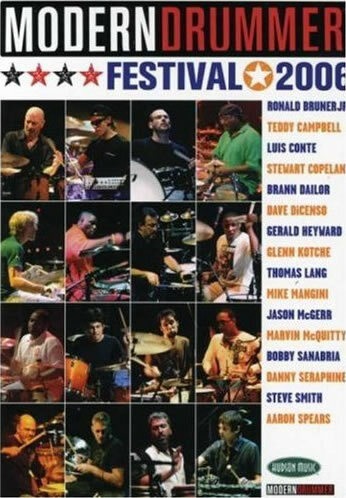 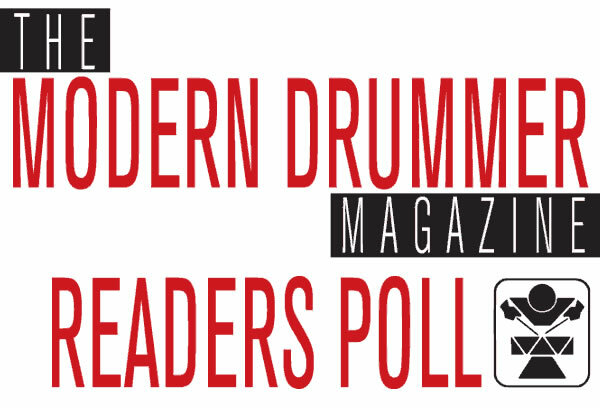 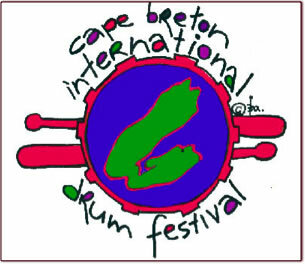 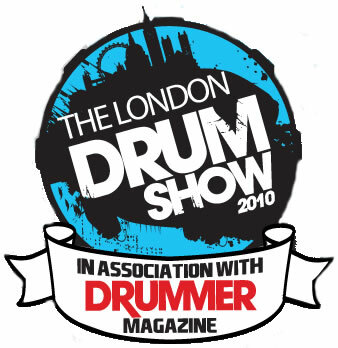 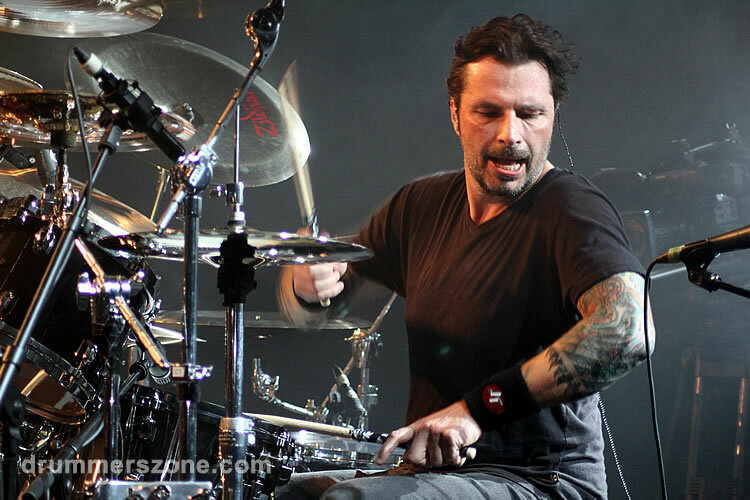 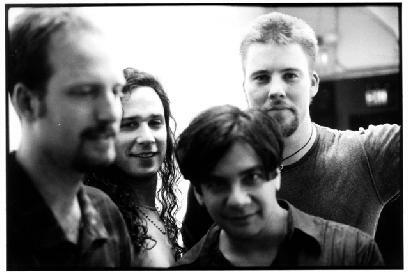 In the fall of 1997, Mike performed at The Montreal DrumFest in Canada and in the spring of 1998, he performed at The Modern Drummer Festival. 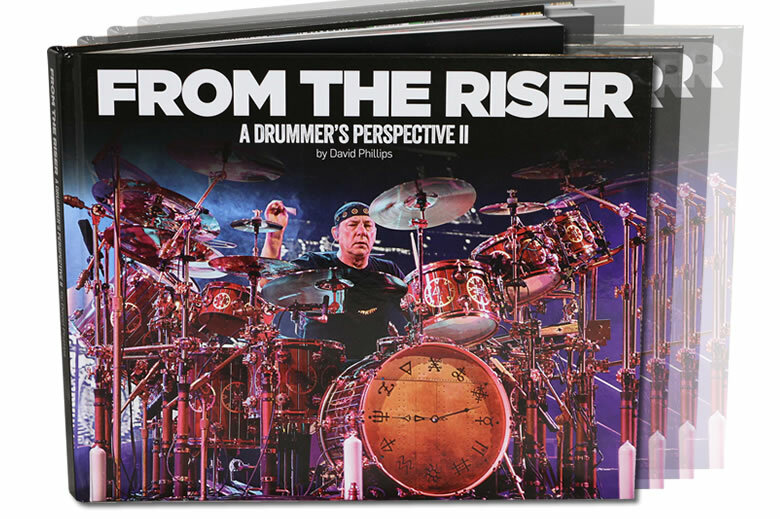 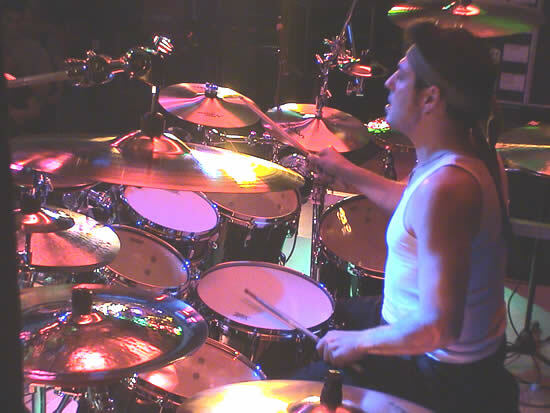 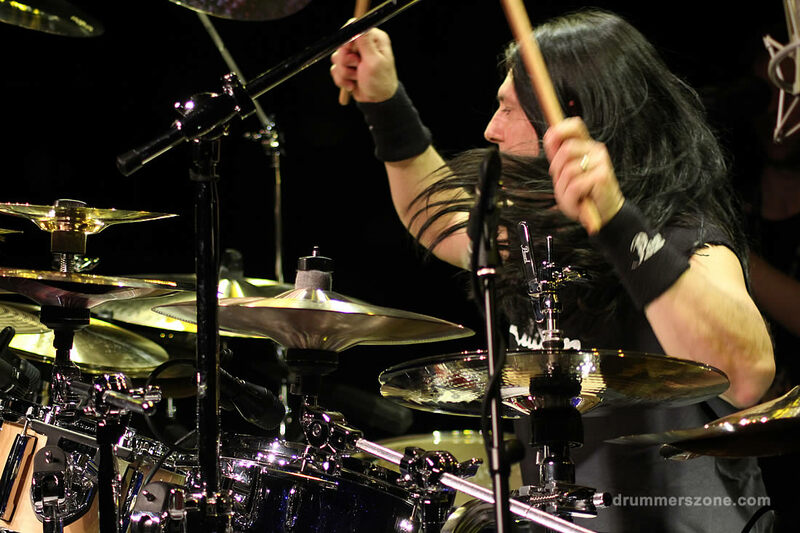 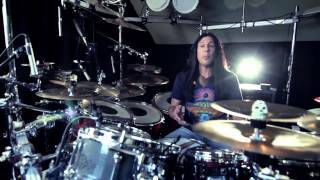 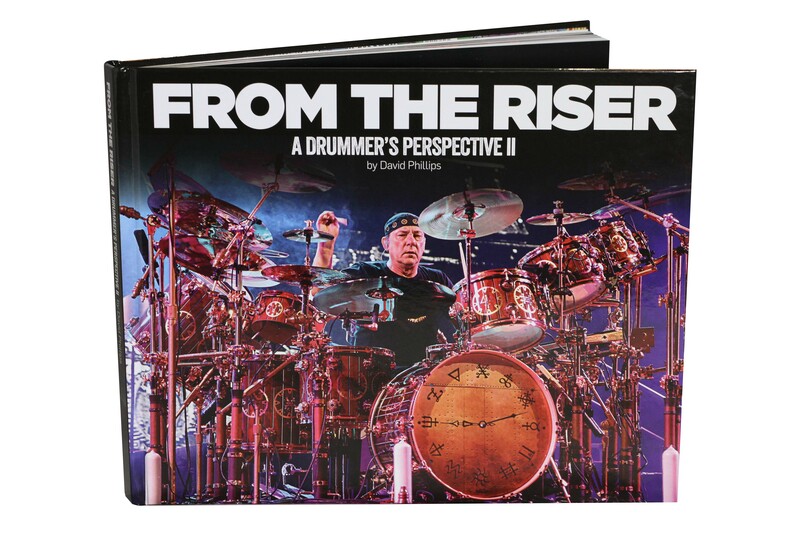 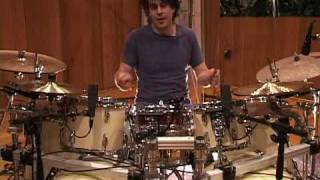 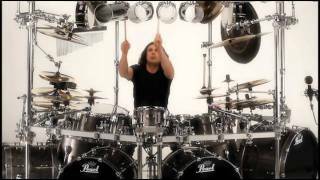 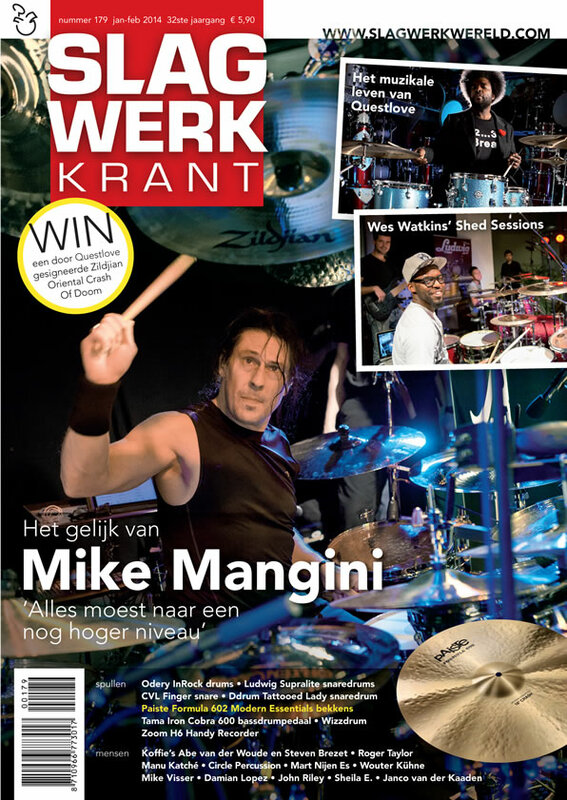 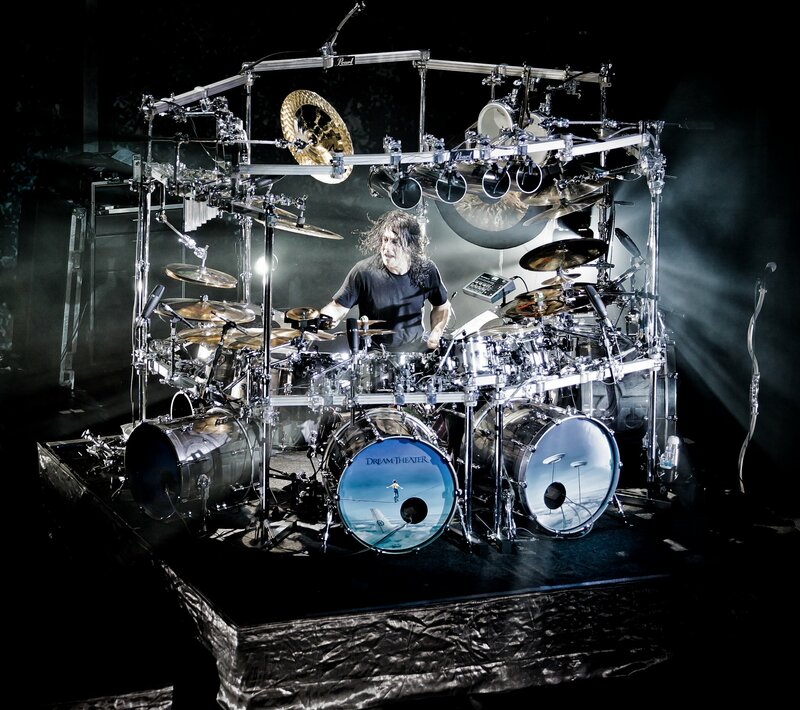 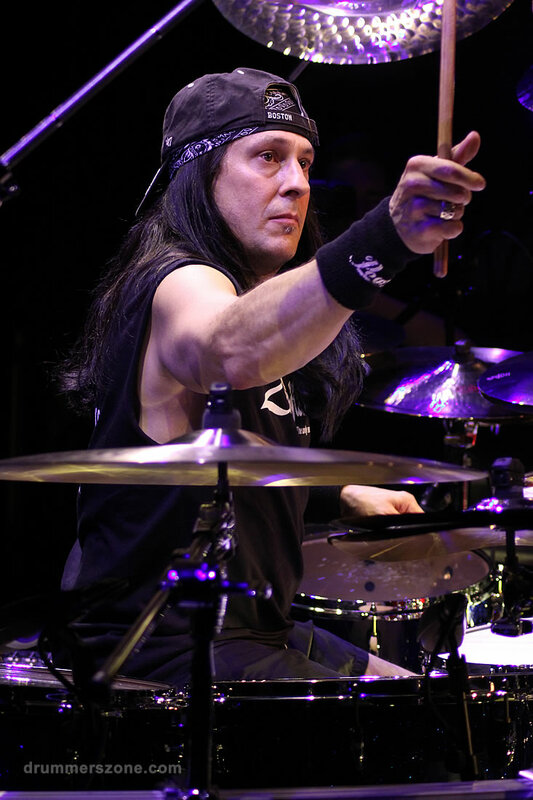 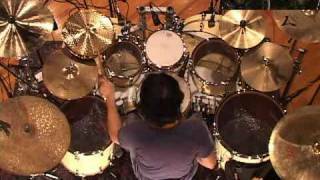 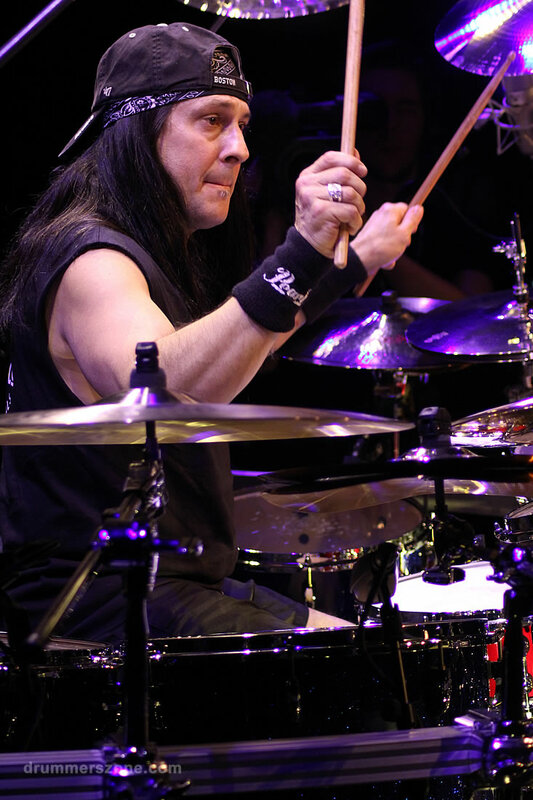 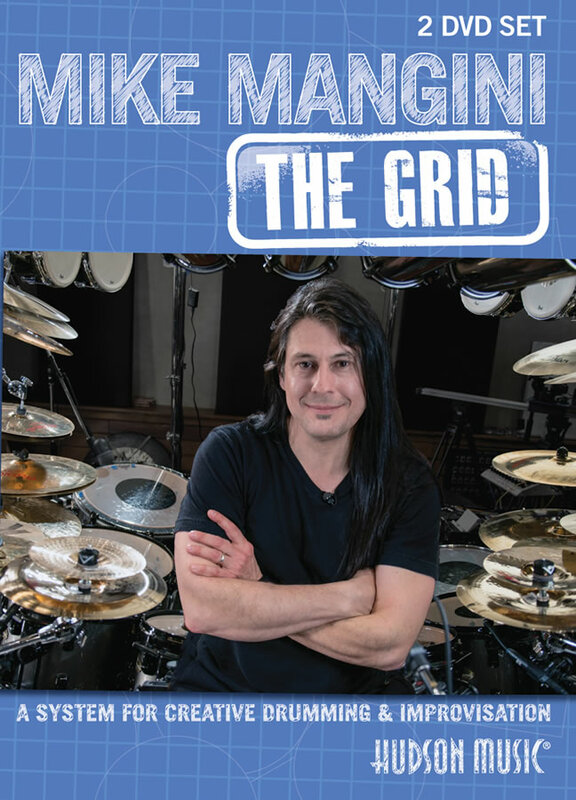 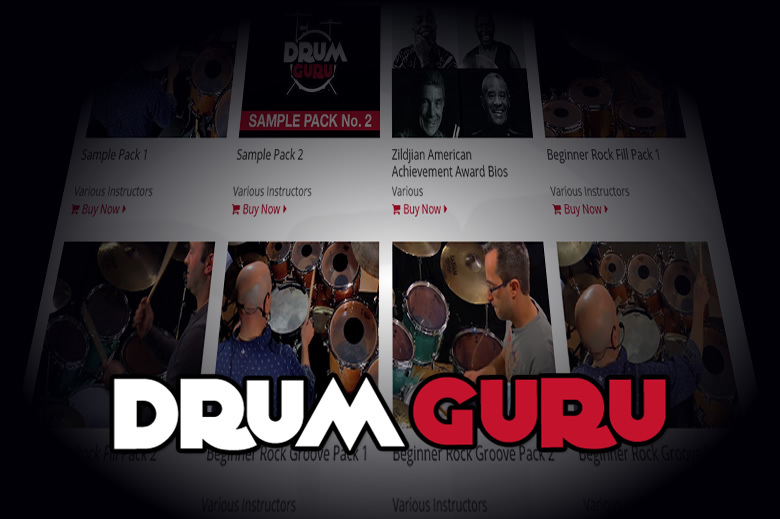 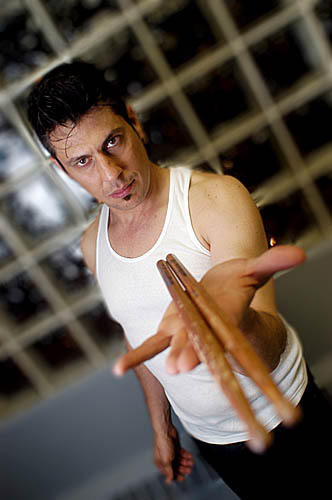 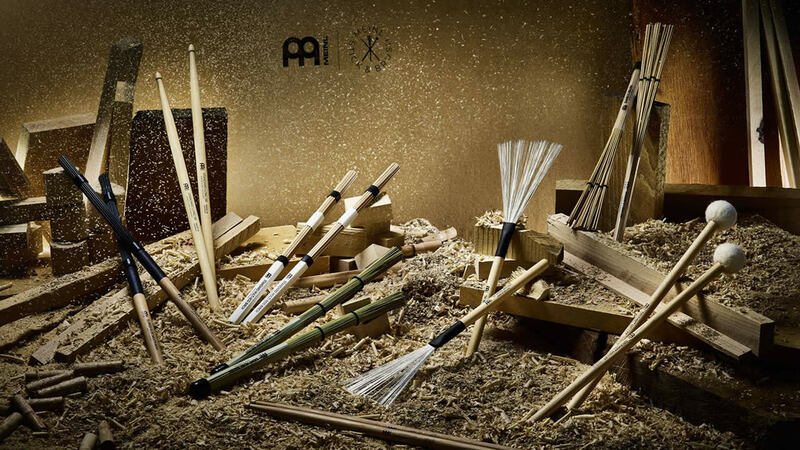 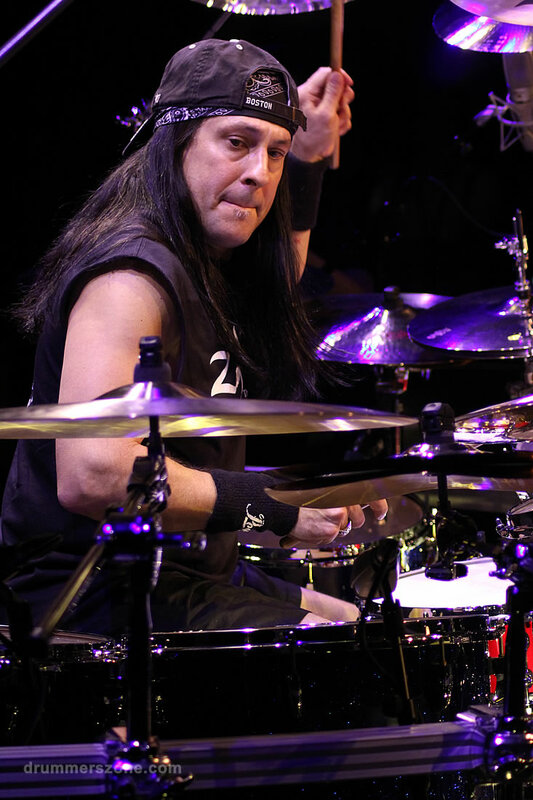 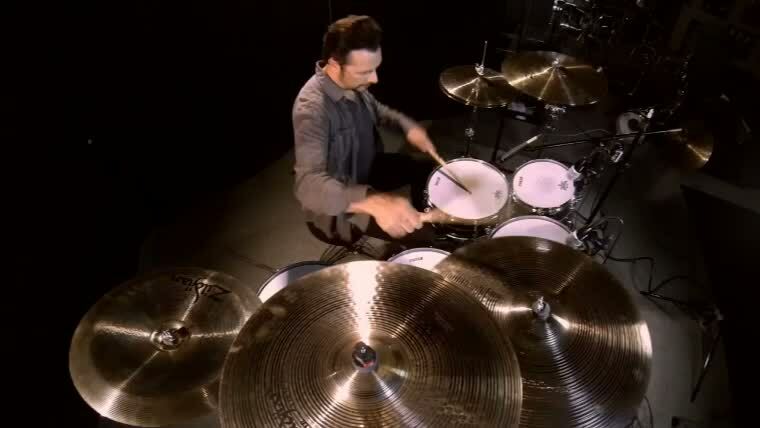 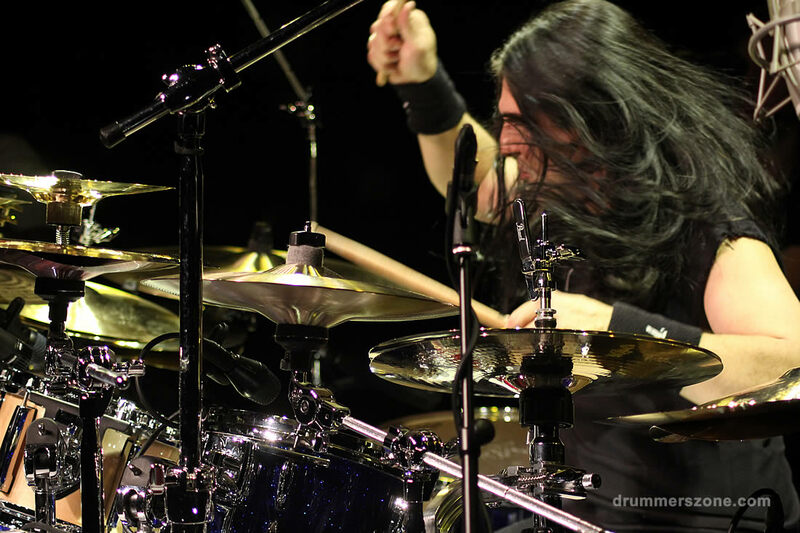 Mike Mangini has authored a two volume instructional series entitled �Rhythm Knowledge� where he imparts his wisdom and technique for developing total four-limb independence and understanding polyrhythms in theory and musical application. 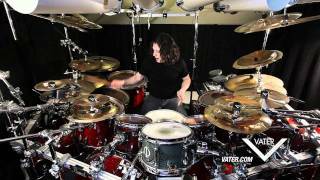 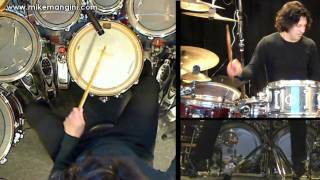 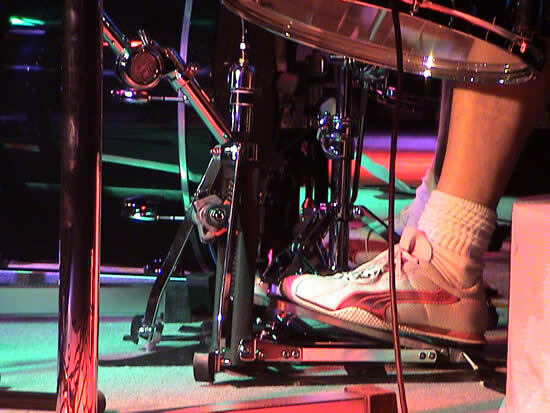 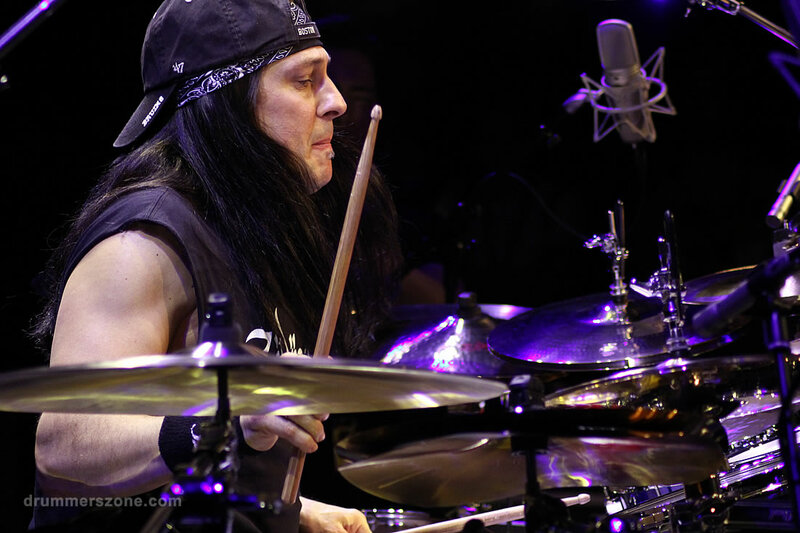 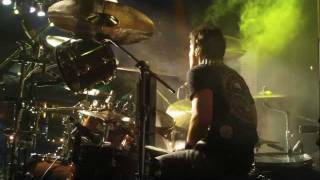 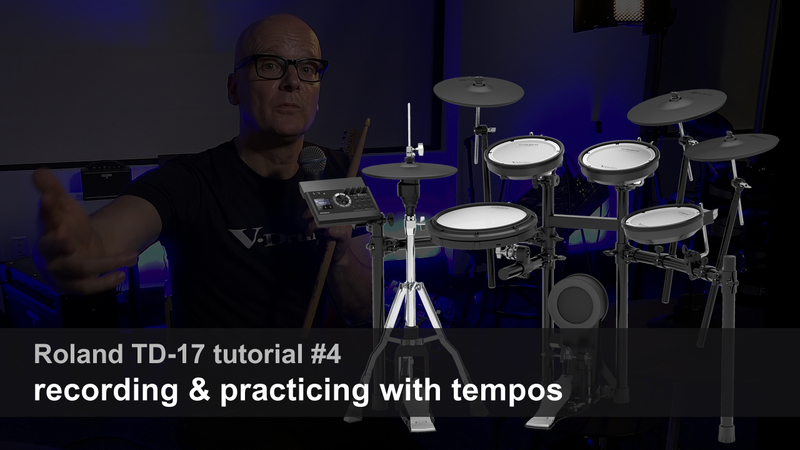 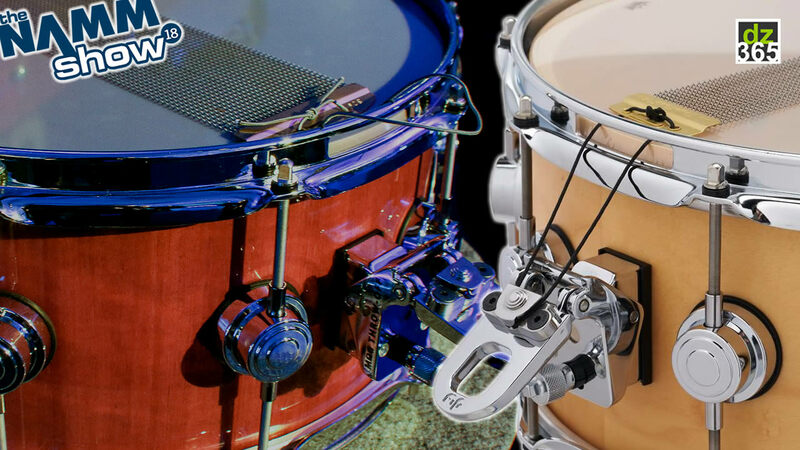 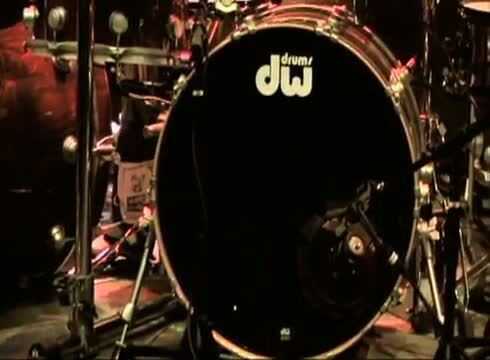 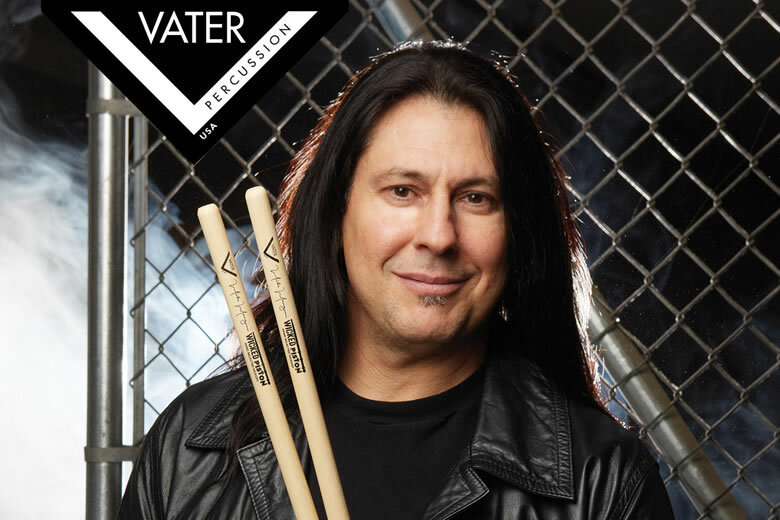 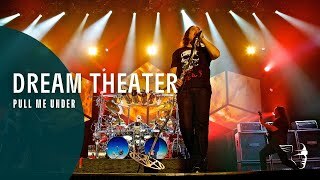 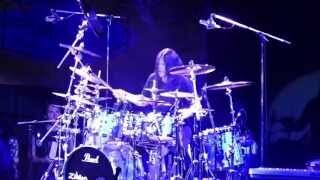 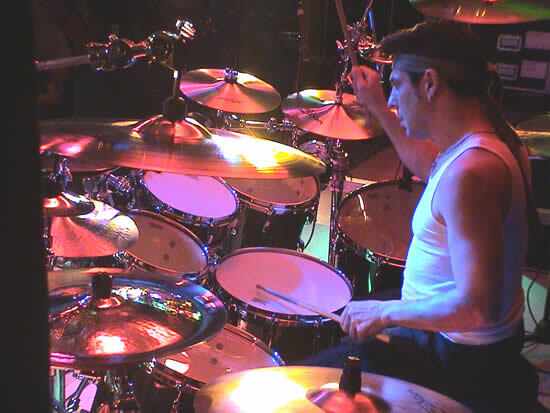 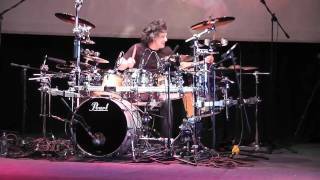 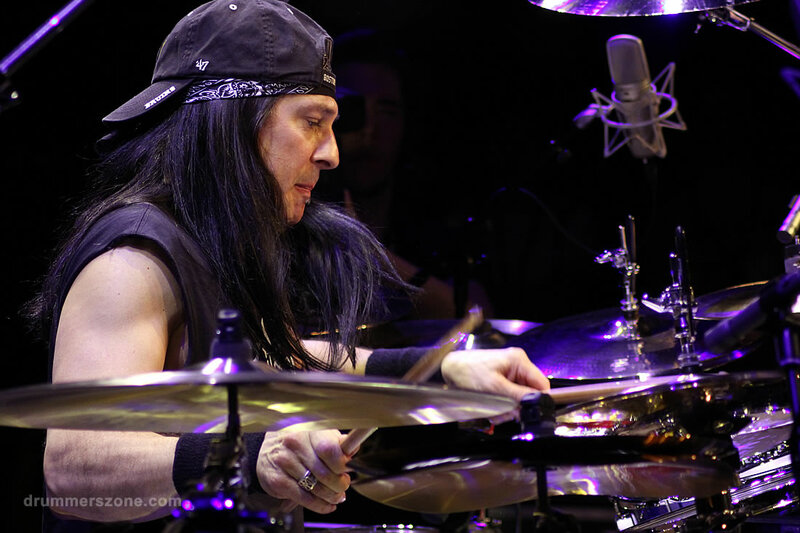 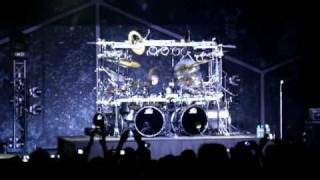 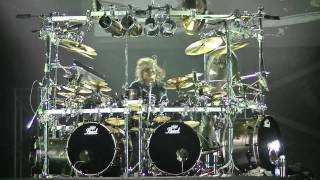 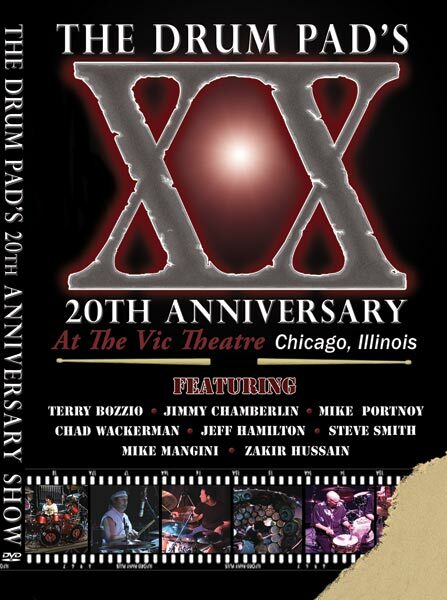 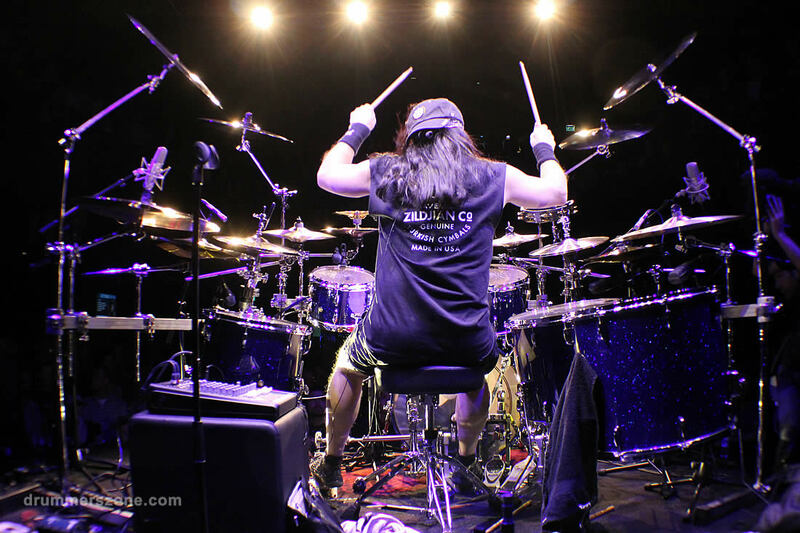 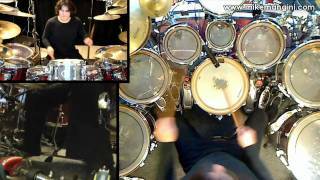 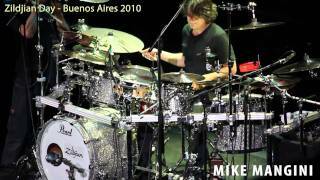 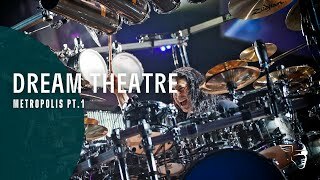 For a quick taste of Mike Mangini's extraordinary playing and performing style, check out the �G3 Live� video where Mike performs with virtuoso guitarist, Steve Vai. 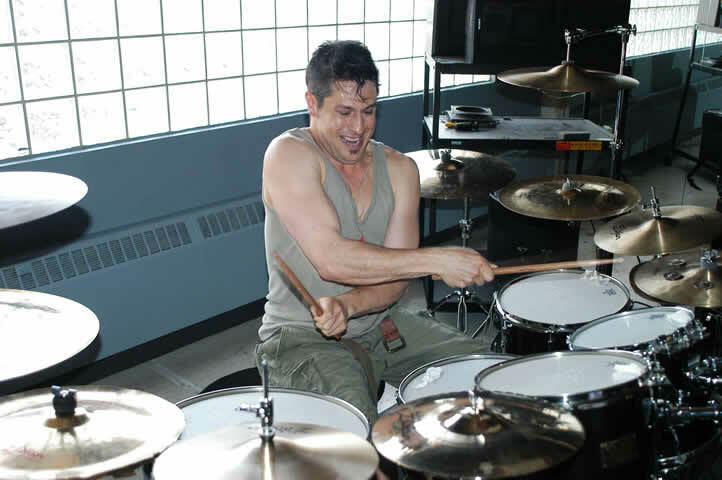 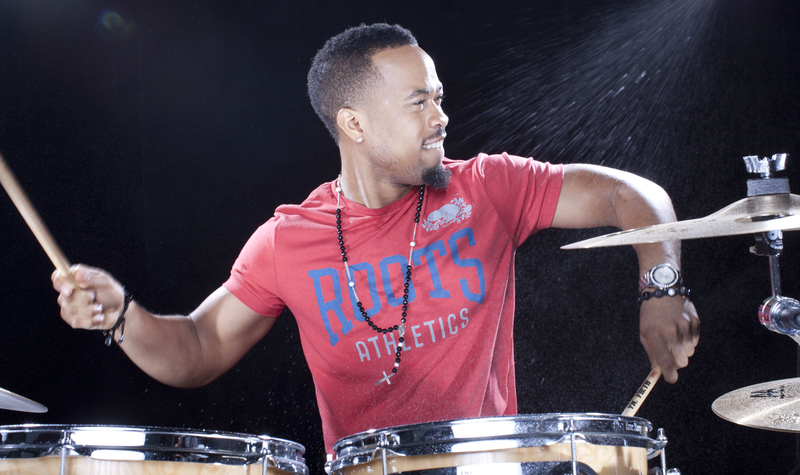 Stay tuned for more performing and recording from this super talented individual and let�s face it, if you haven�t seen Mike executing his one handed drum roll while eating a marshmallow or a bunch of grapes with the other hand, you're missing out! 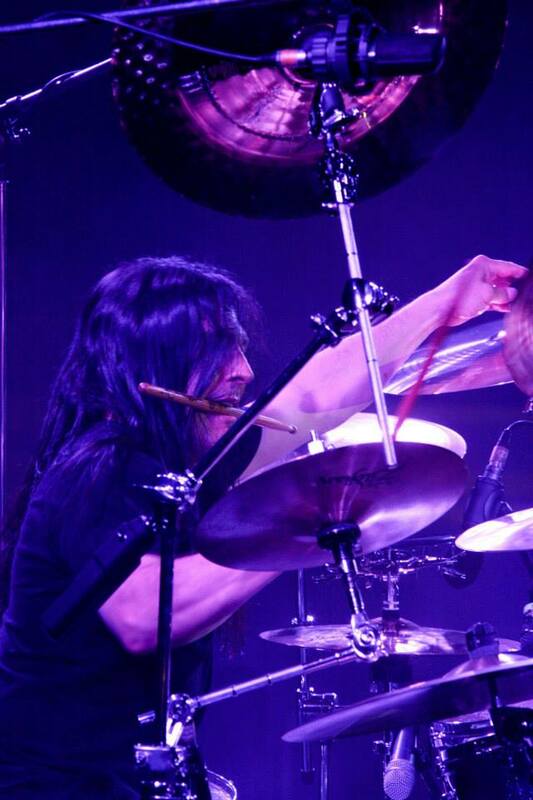 Aside from his hectic performing schedule, Mike Mangini regularly conducts clinics and master classes all over the United States. 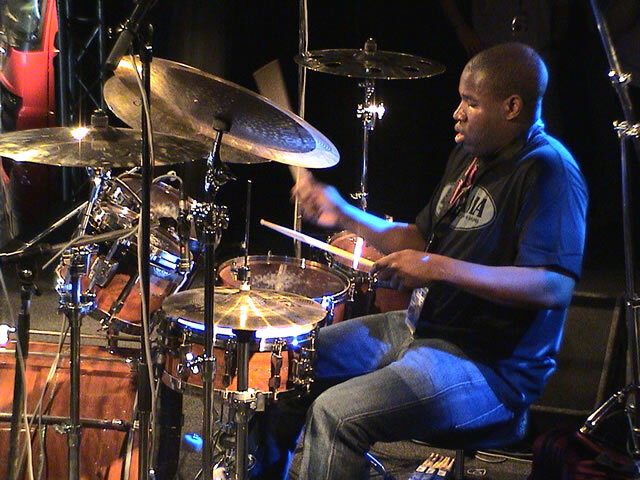 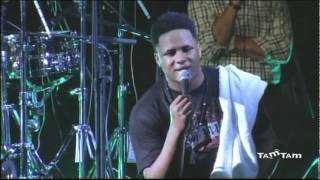 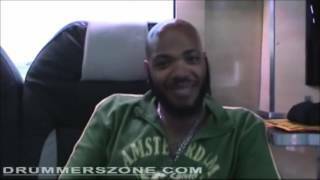 He is also one of the most recent additions to the teaching staff at Berklee College of Music in Boston Massachusetts. 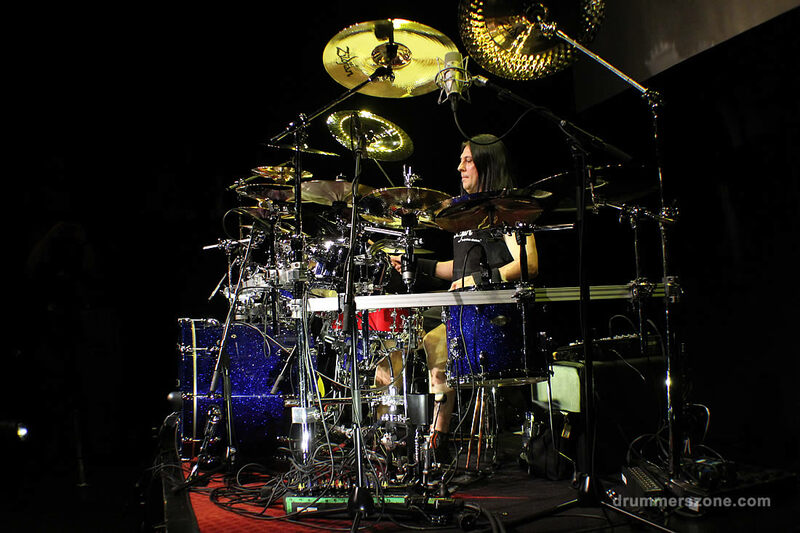 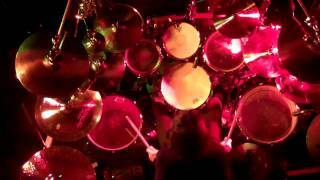 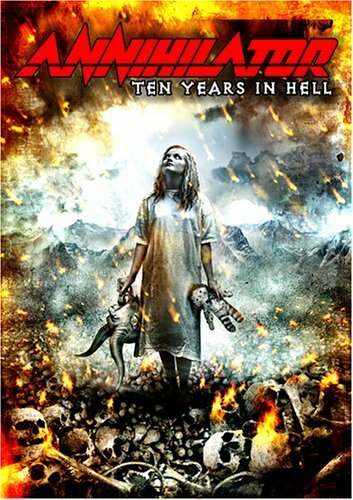 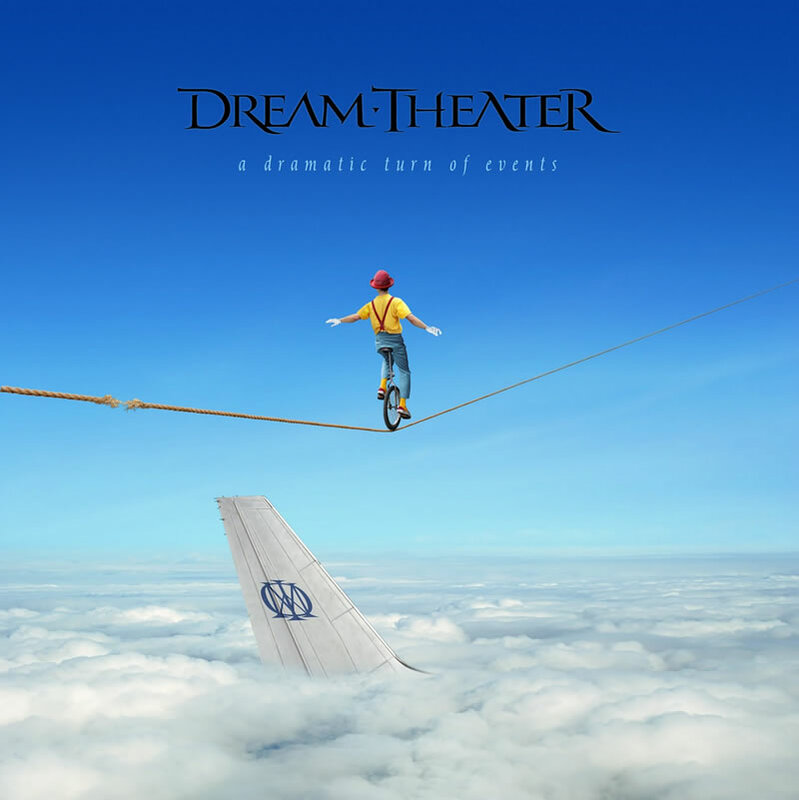 This is the ONLY Facebook Page for Mike - Mike is currently the drummer for Dream Theater. 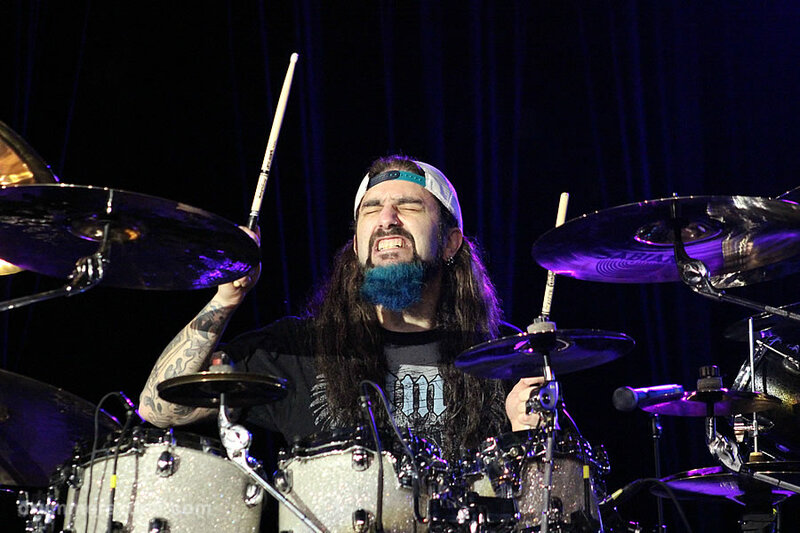 Mike does not have a personal Facebook Page. 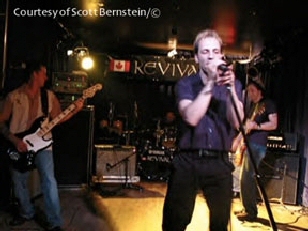 This page is managed by Mike and a few helpers. 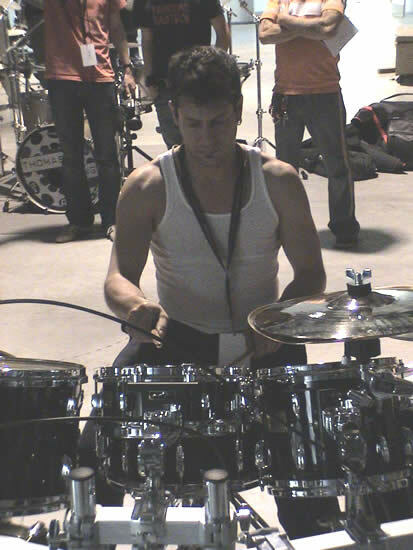 We are and will continue reporting and banning disrespectful people.. Mike has won over 60 national awards and documented recognition for outstanding performance with the following things: teaching (as a professor at Berklee College,) competitive NAJE drumming in classical & jazz music and international drum contests, band auditions and reader's polls. 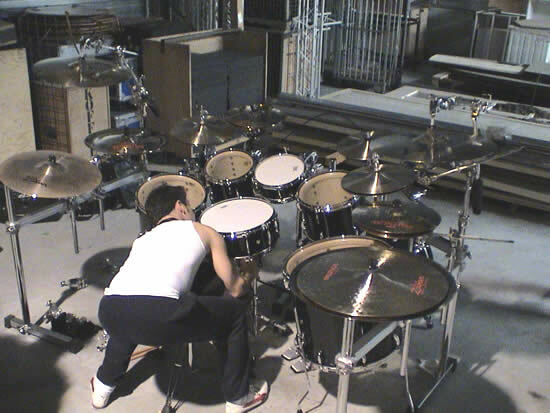 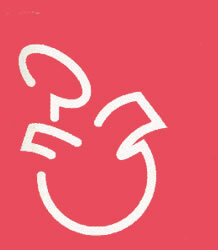 His revolutionary learning system is called Rhythm Knowledge. 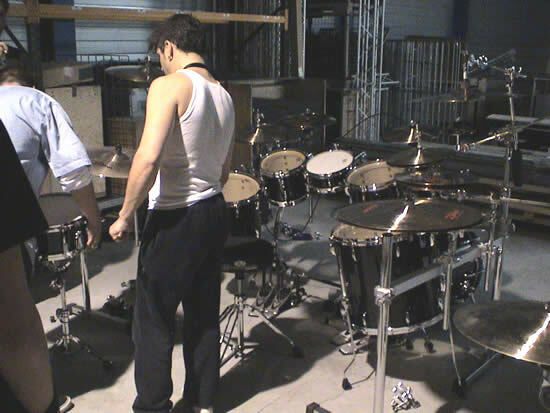 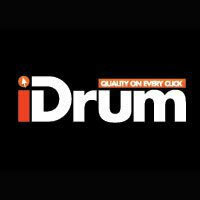 It is a behavioral change system applied to drumming and written with a binary base using hierarchical and organic based management structures. 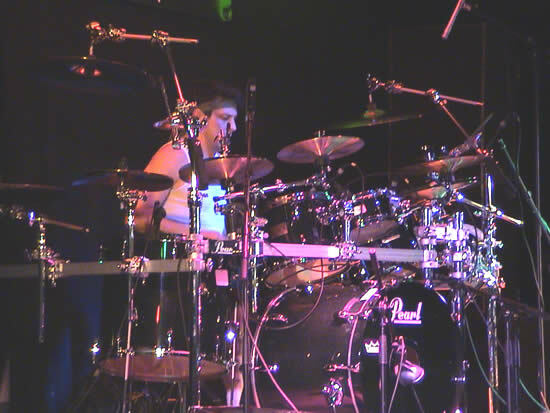 Mike studied software engineering, was part of the Patriot Missile software team and used the technology to write Rhythm Knowledge Volumes 1 & 2.